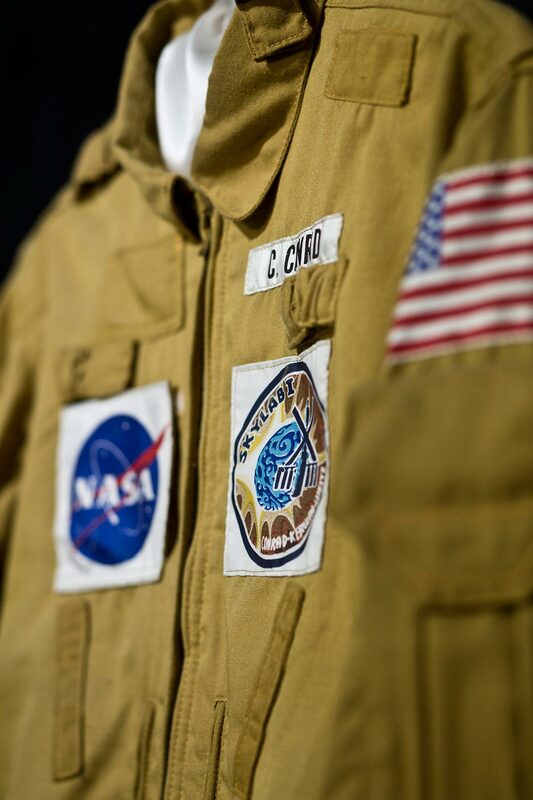 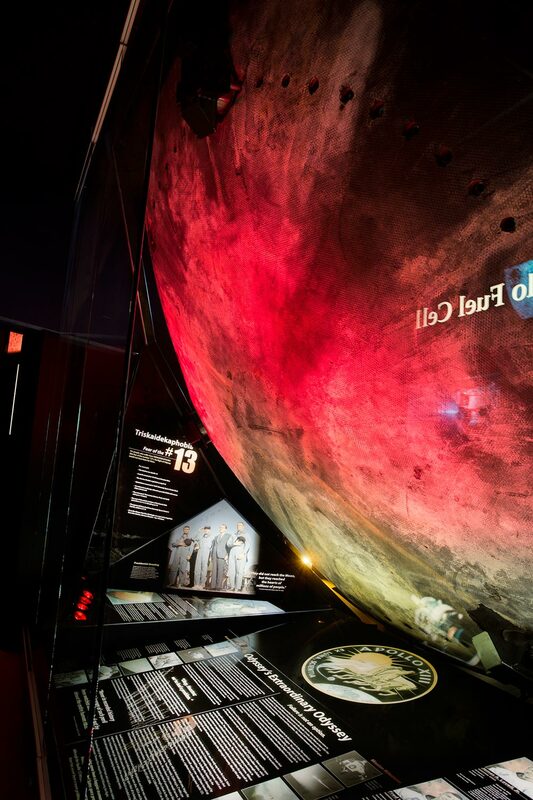 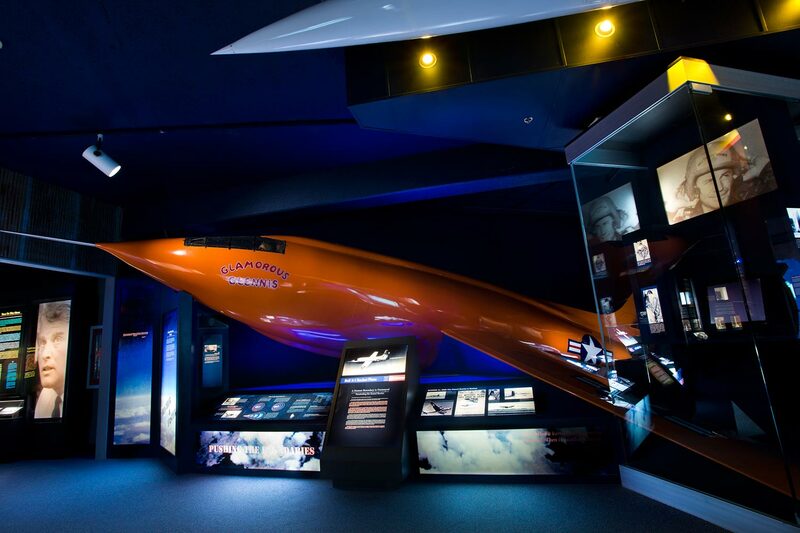 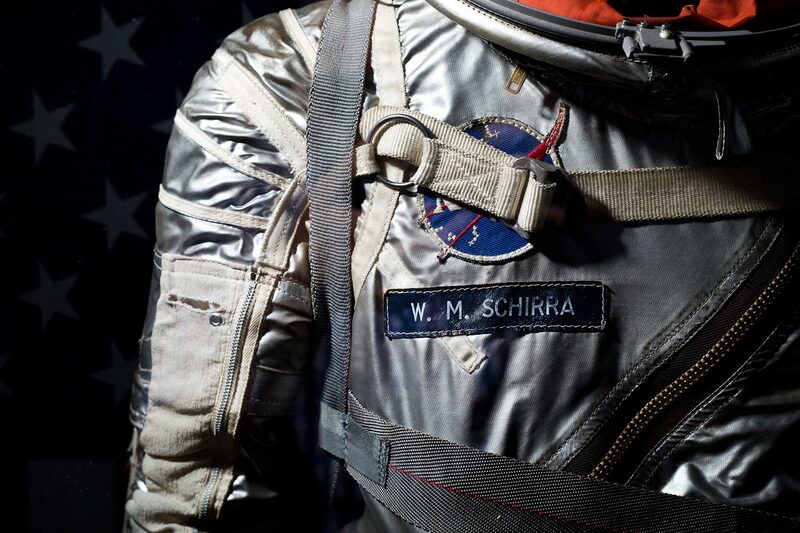 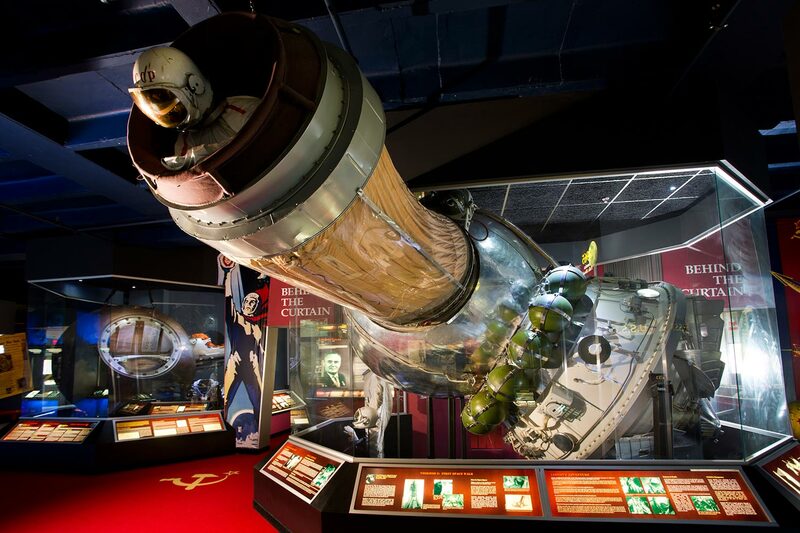 Featuring the largest combined collection of U.S. and Russian space artifacts in the world and telling the comprehensive story of mankind’s race to space unlike anywhere else on Earth. 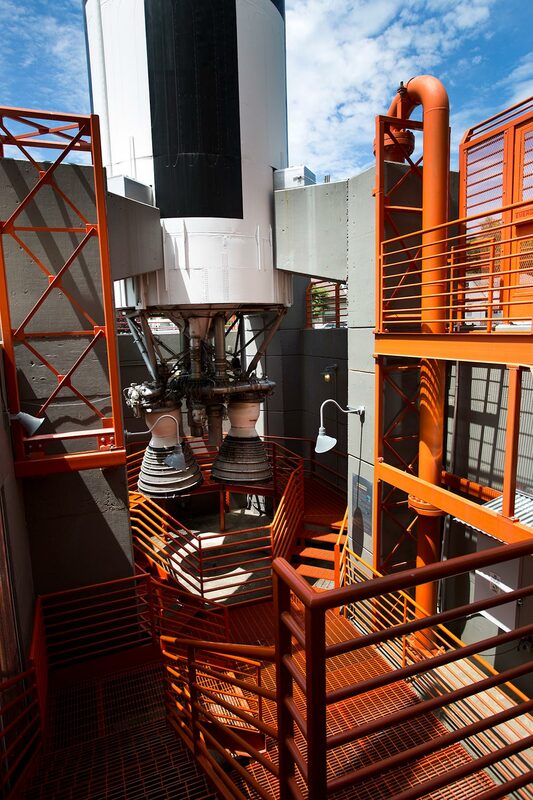 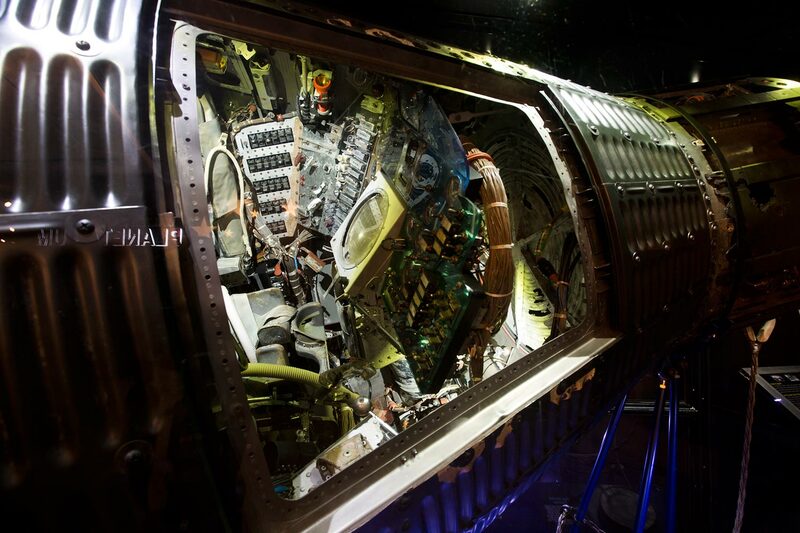 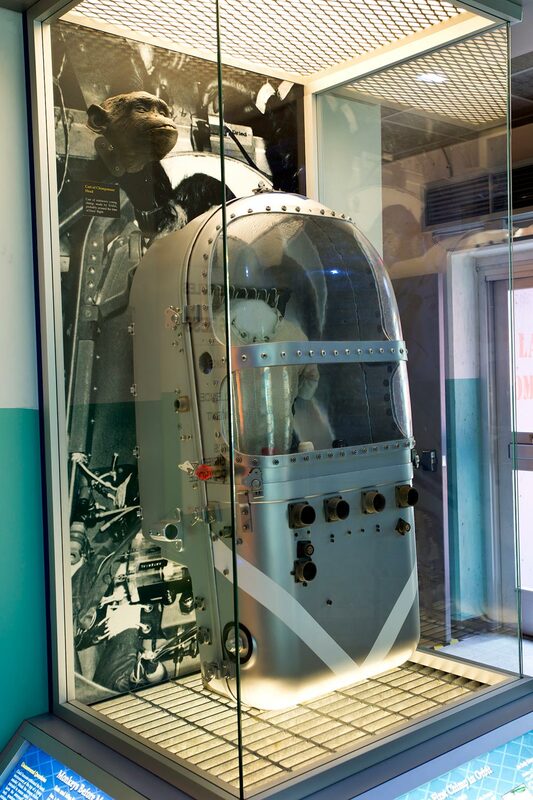 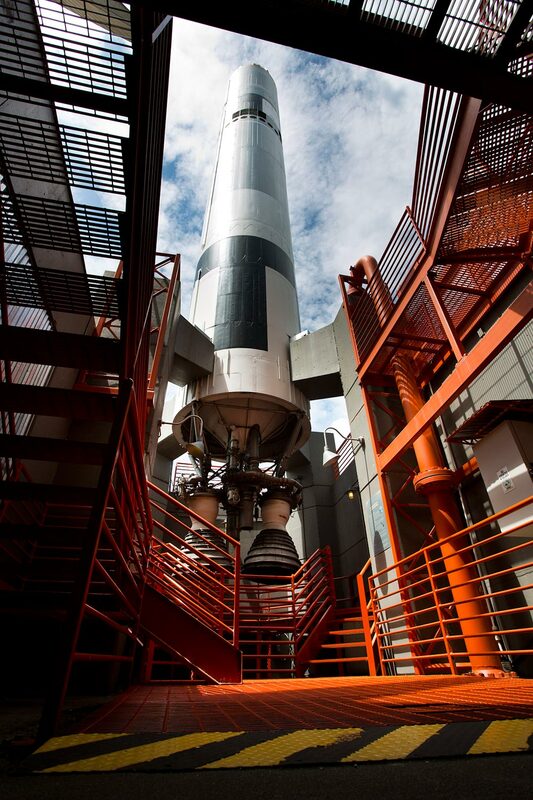 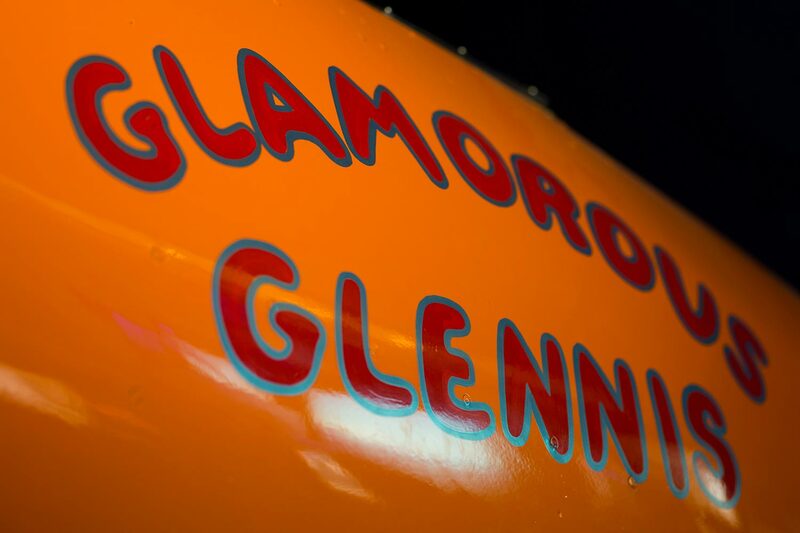 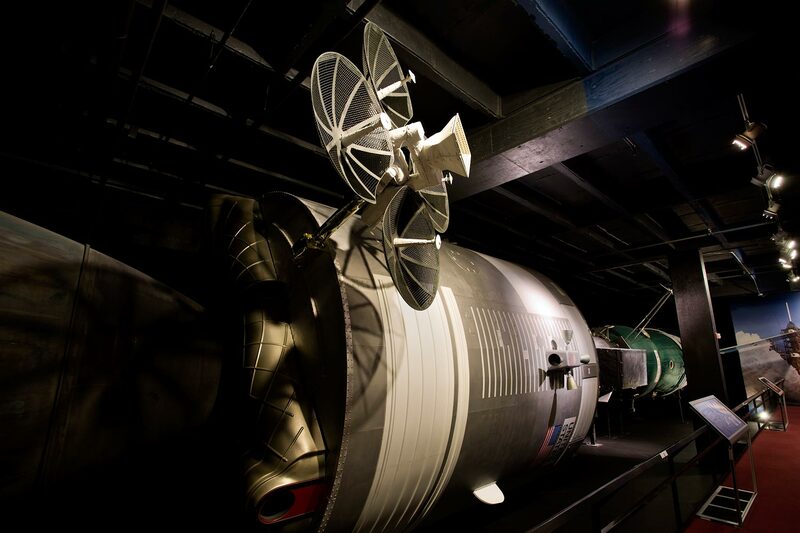 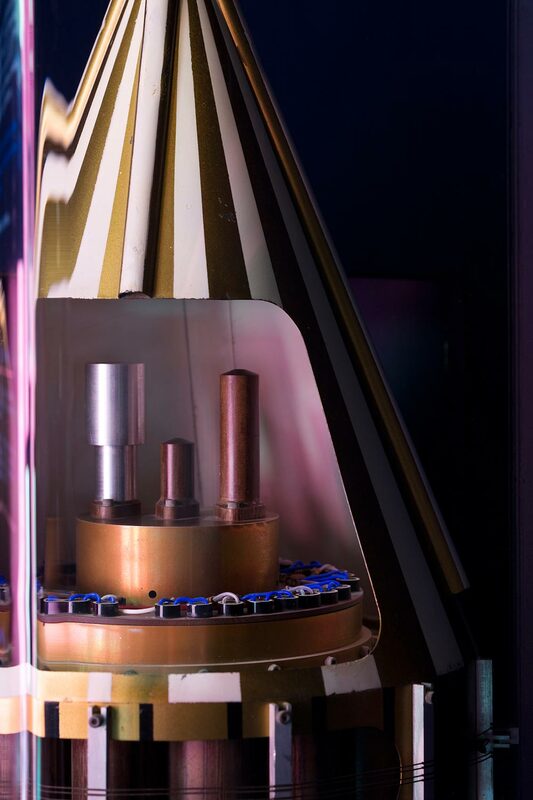 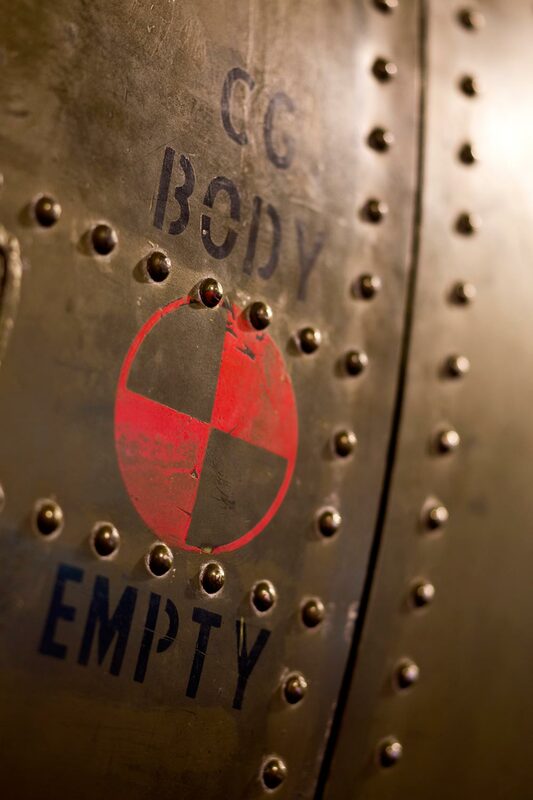 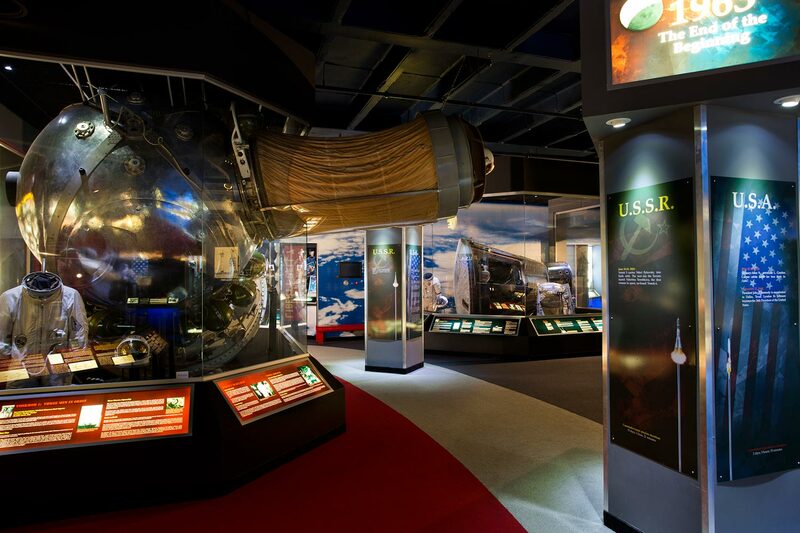 PLEASE NOTE:The Cosmosphere's Mercury capsule, Liberty Bell 7, is currently not on display. 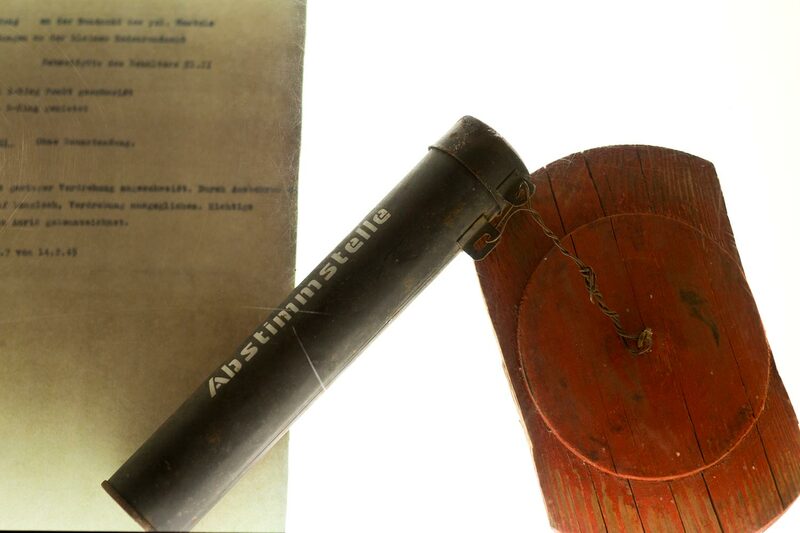 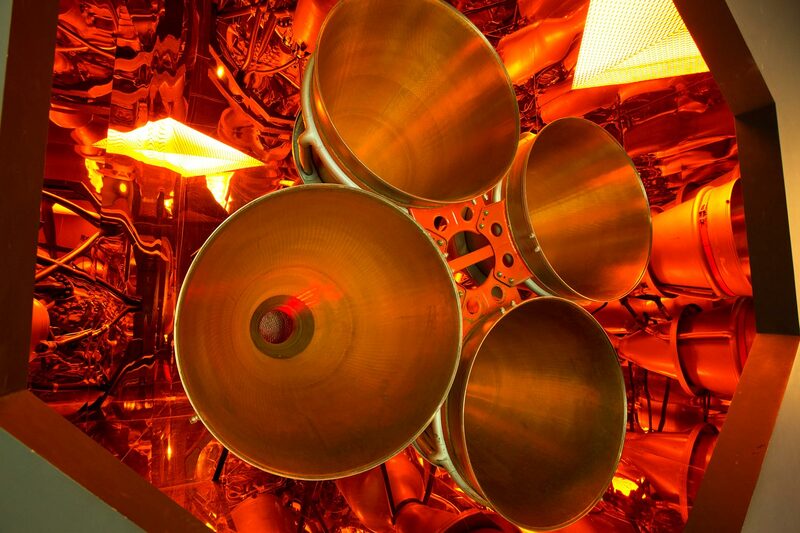 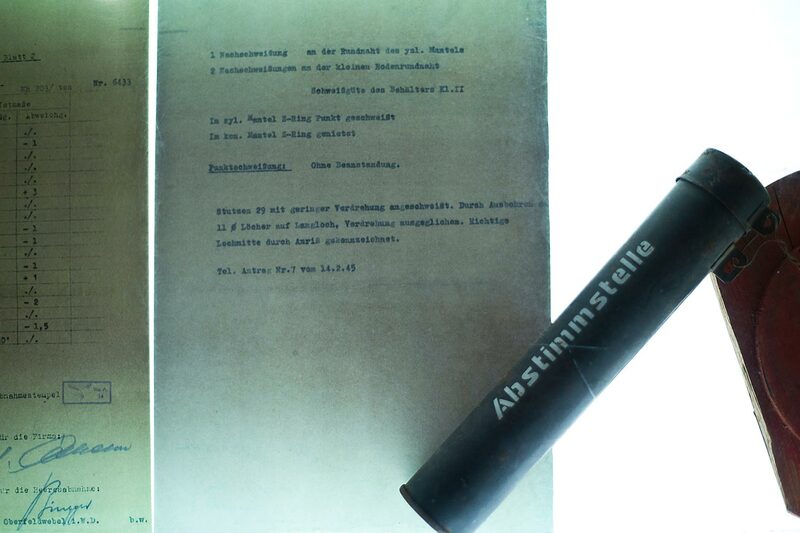 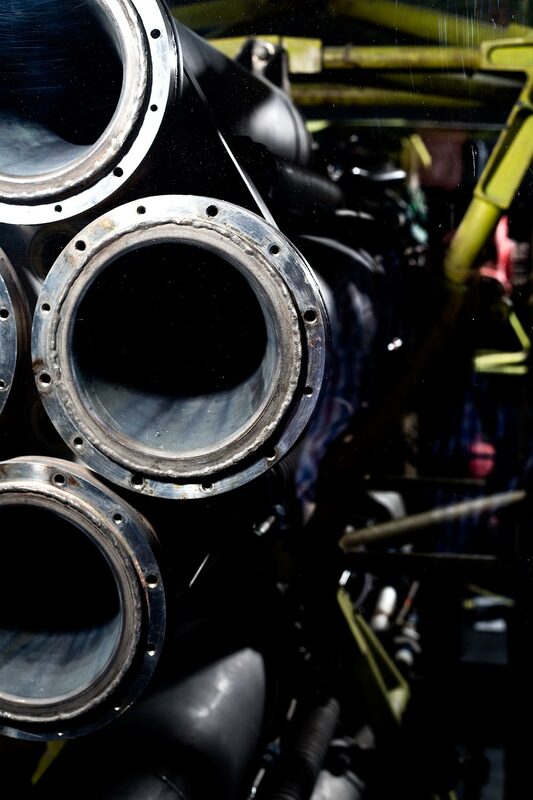 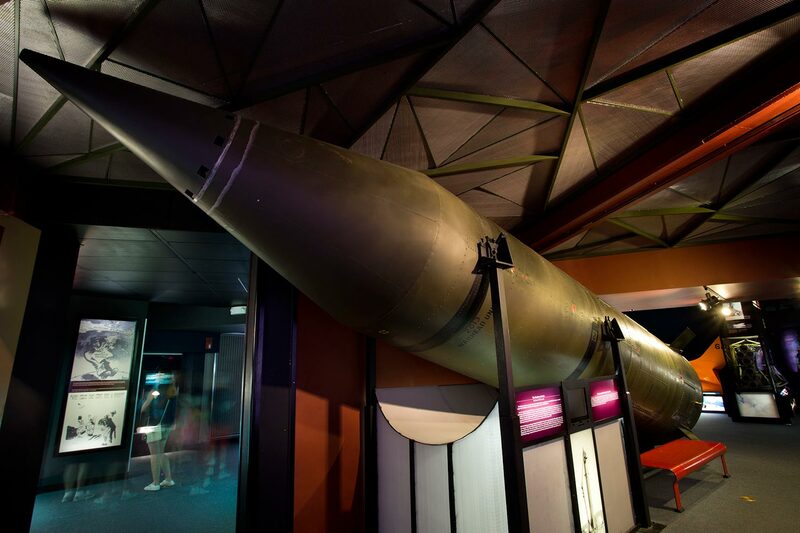 In creating the ultimate weapons of war, Hitler’s Germany laid the groundwork for future space travel. 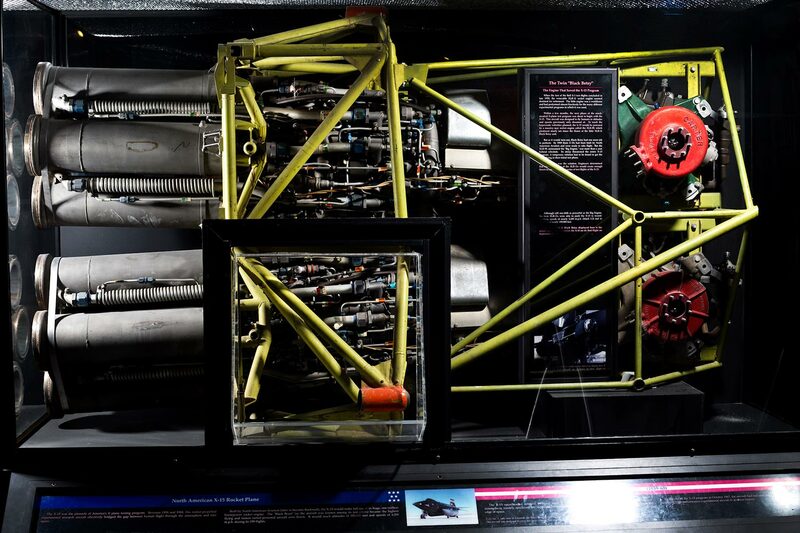 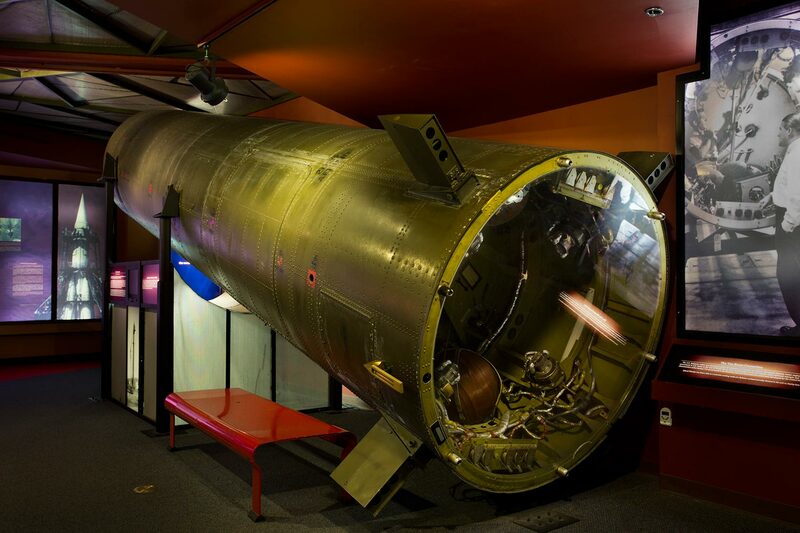 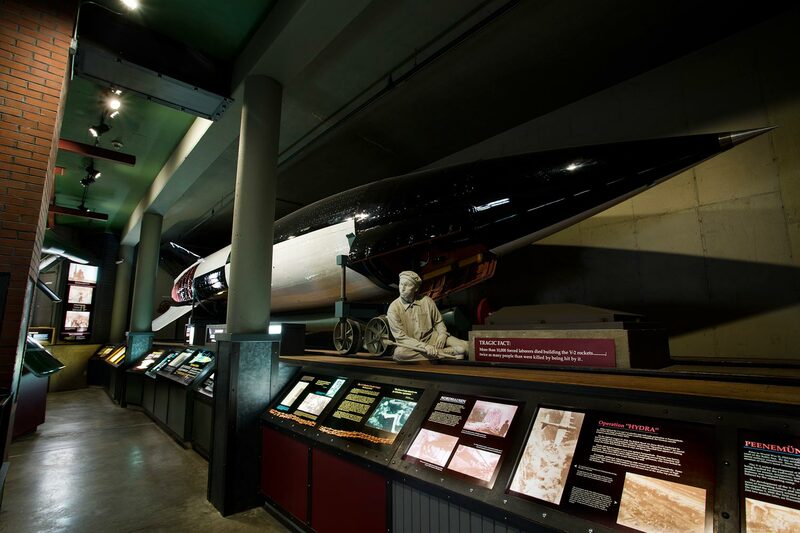 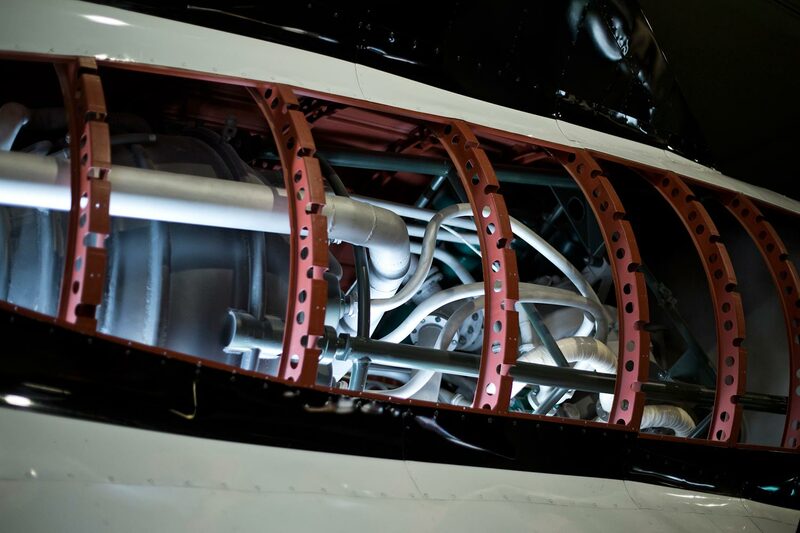 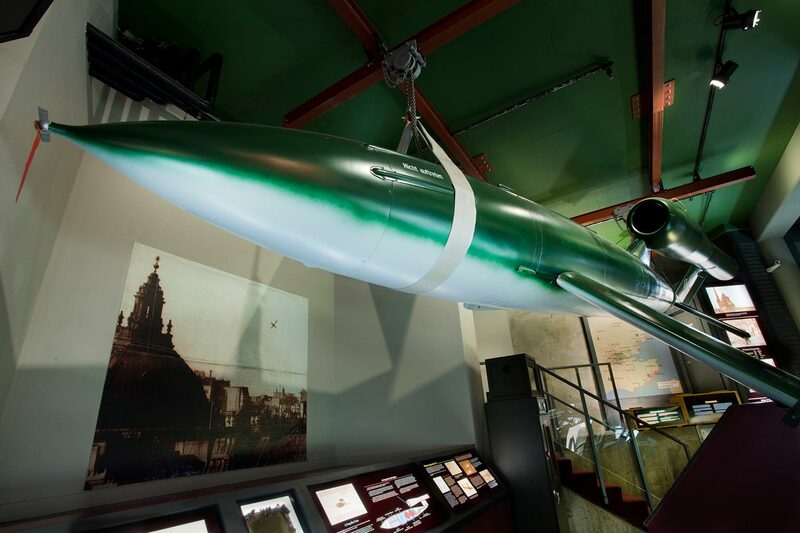 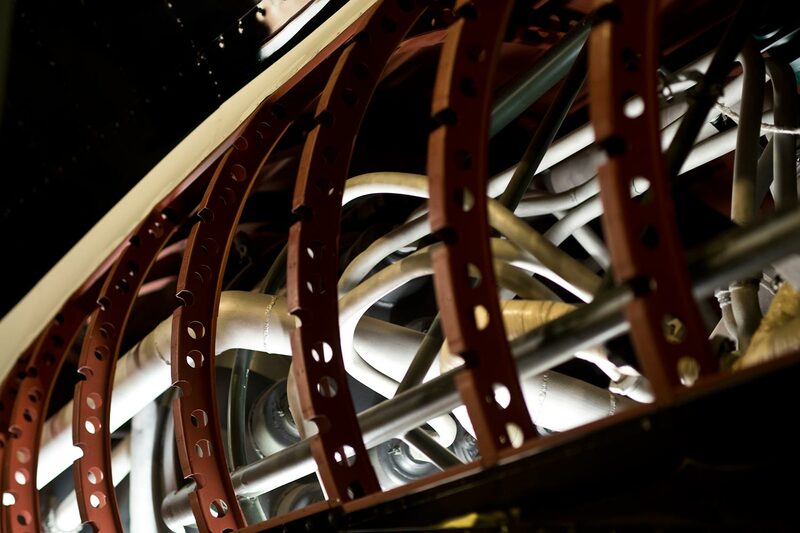 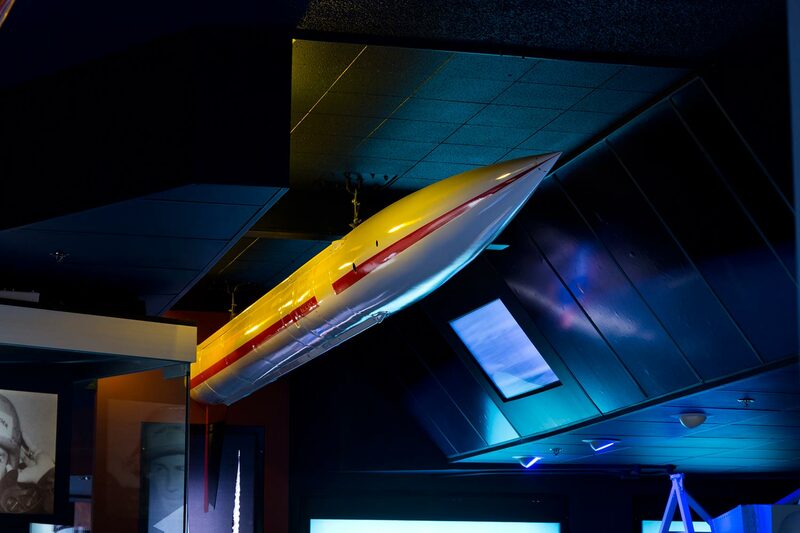 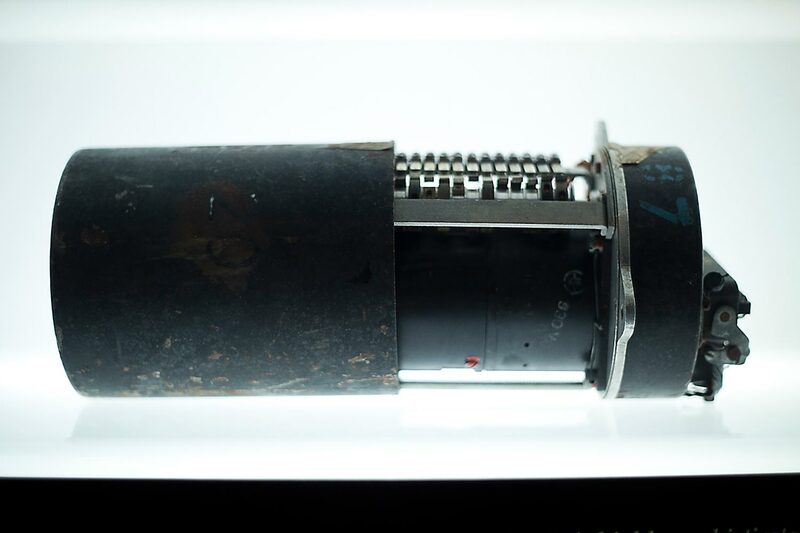 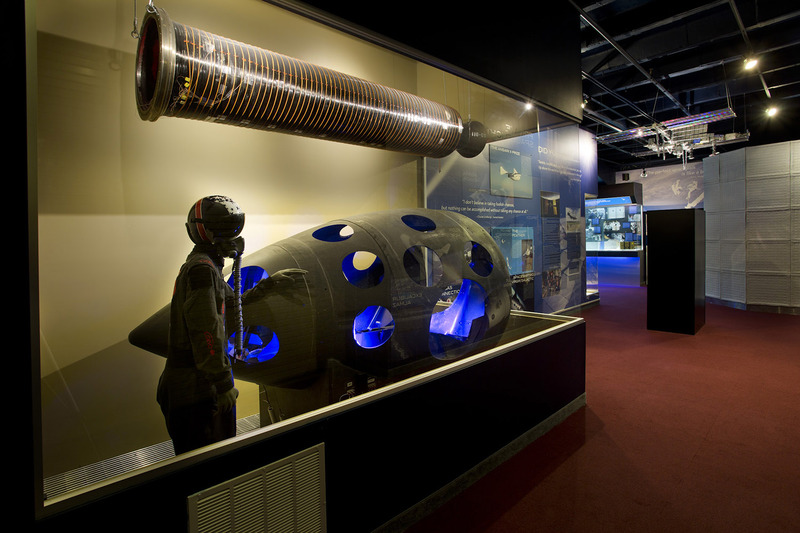 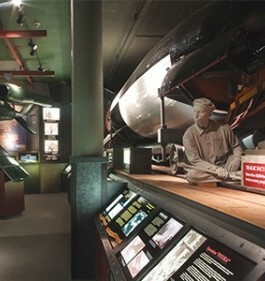 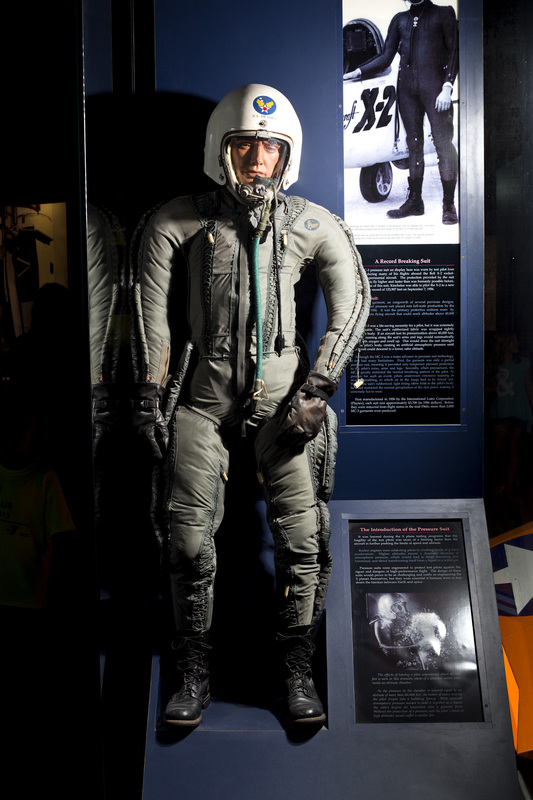 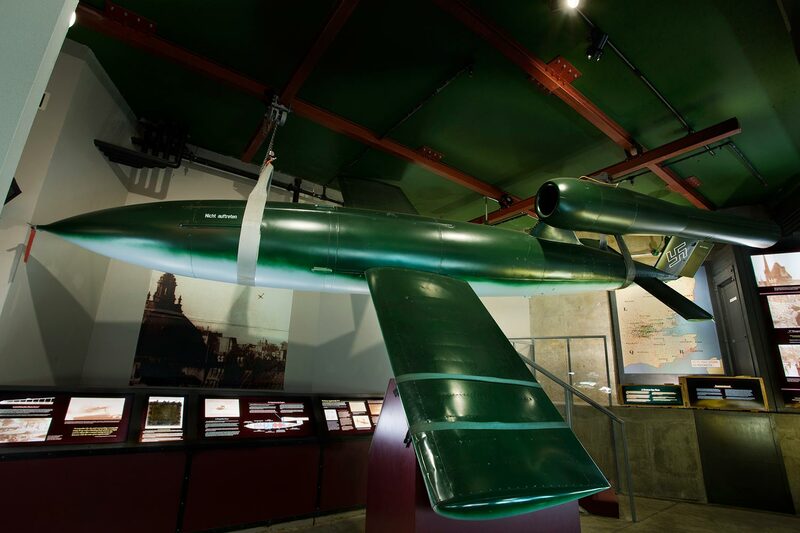 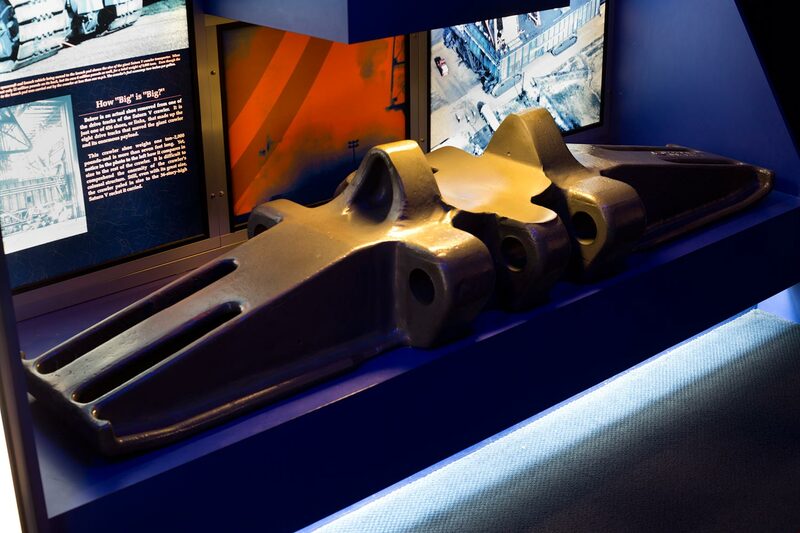 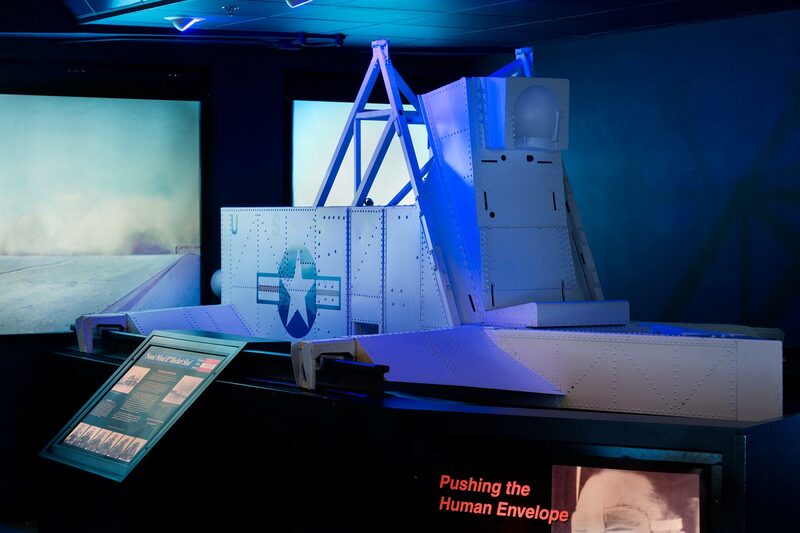 Rare V-1 and V-2 rockets highlight this World War II exhibit, demonstrating how V-2 technology made space exploration possible. 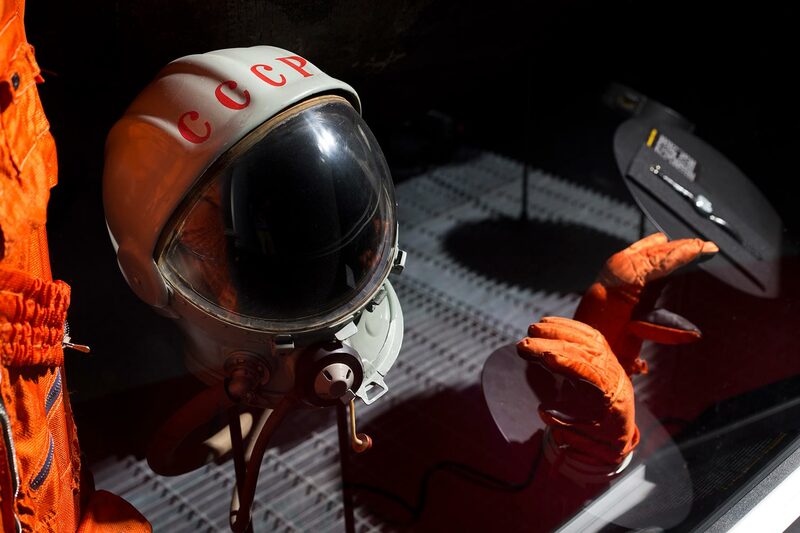 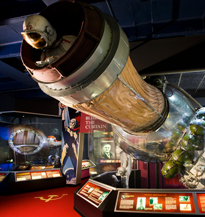 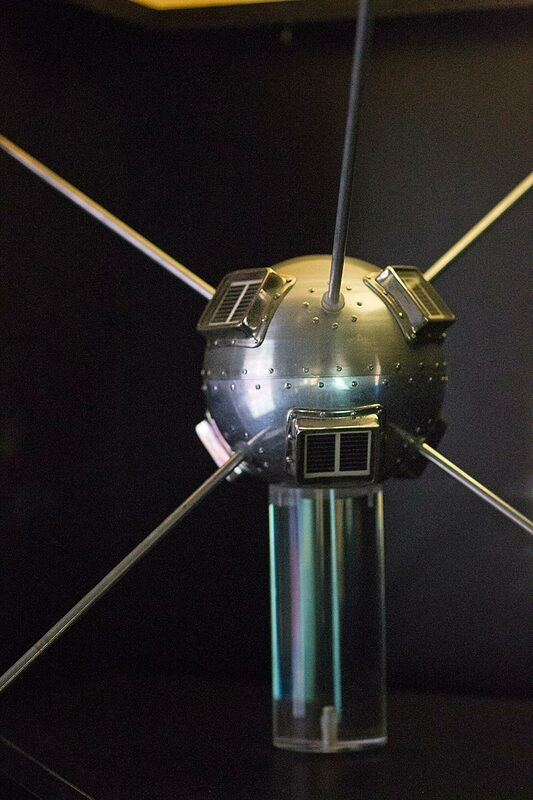 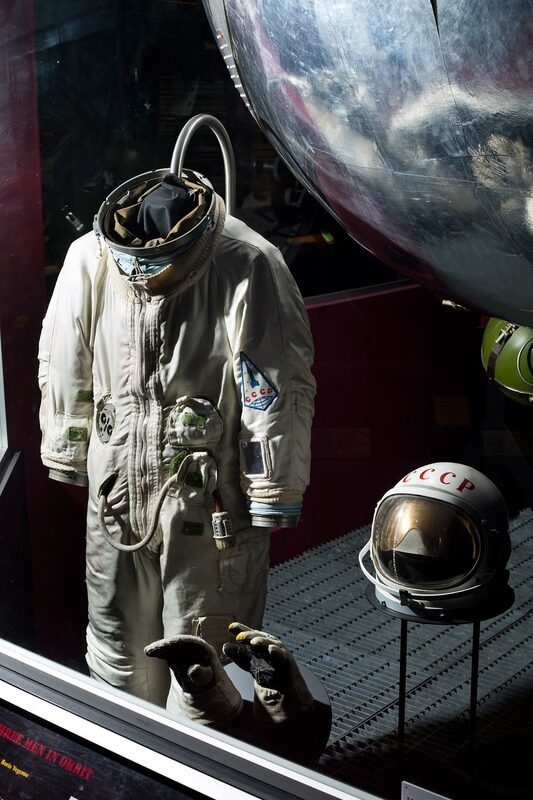 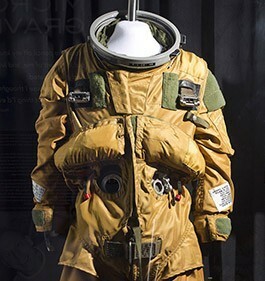 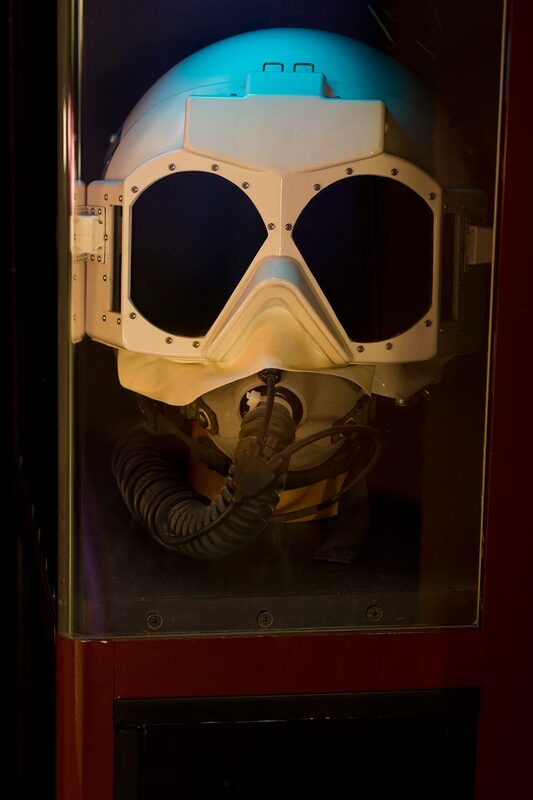 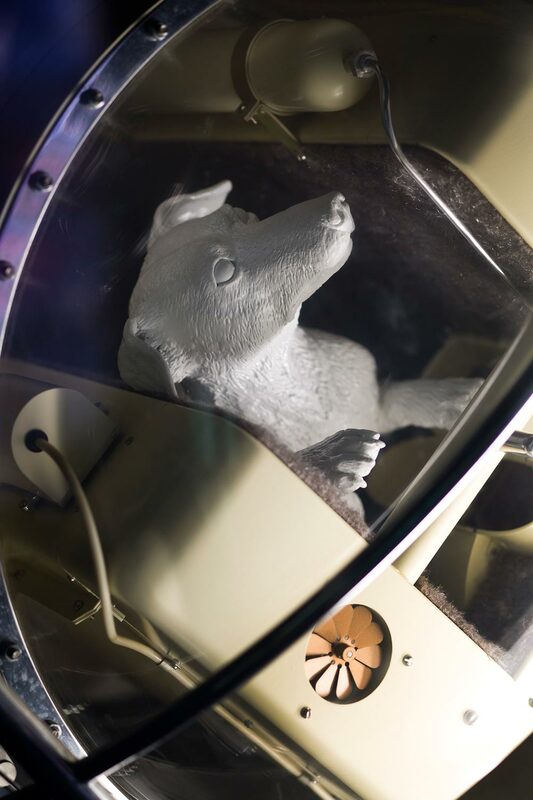 Chronicling the first steps of both the U.S. and Soviet space programs, this gallery brings to life the Cold War standoff between the superpowers and the early drama of the Space Race. 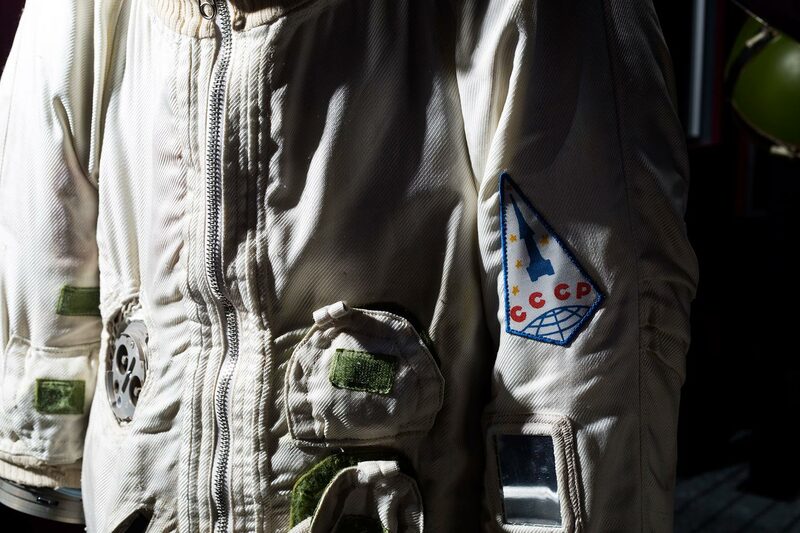 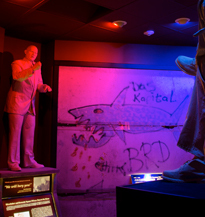 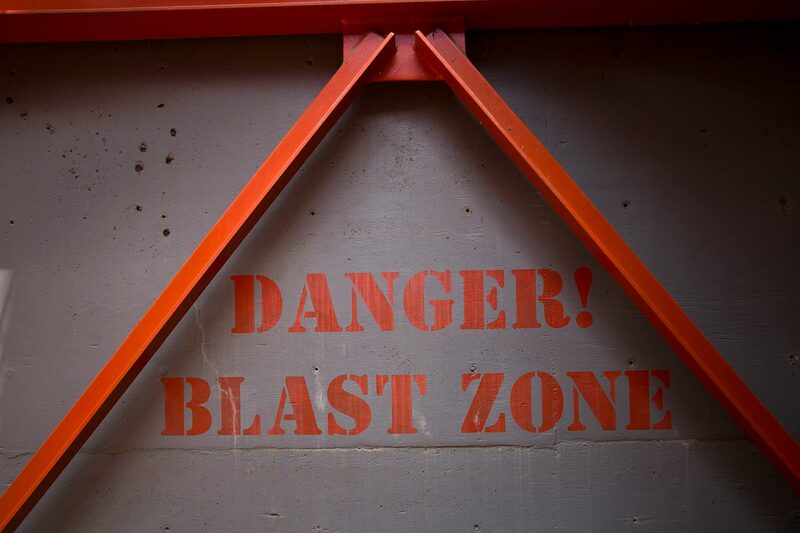 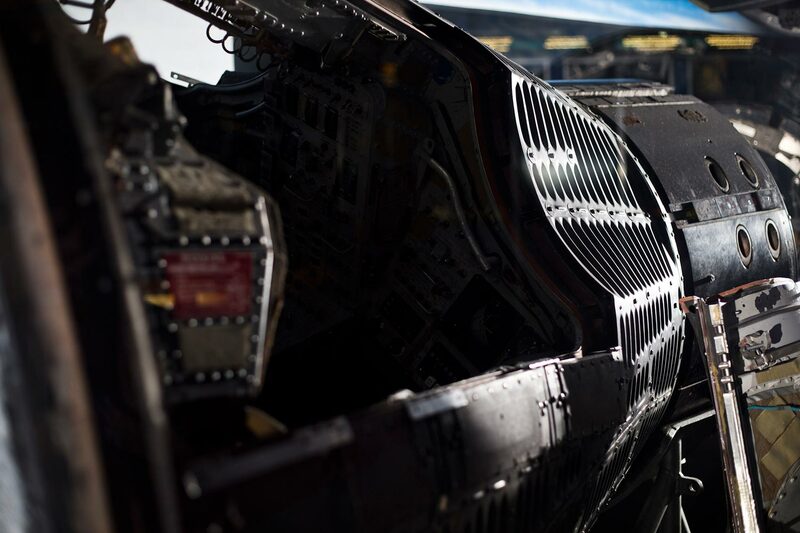 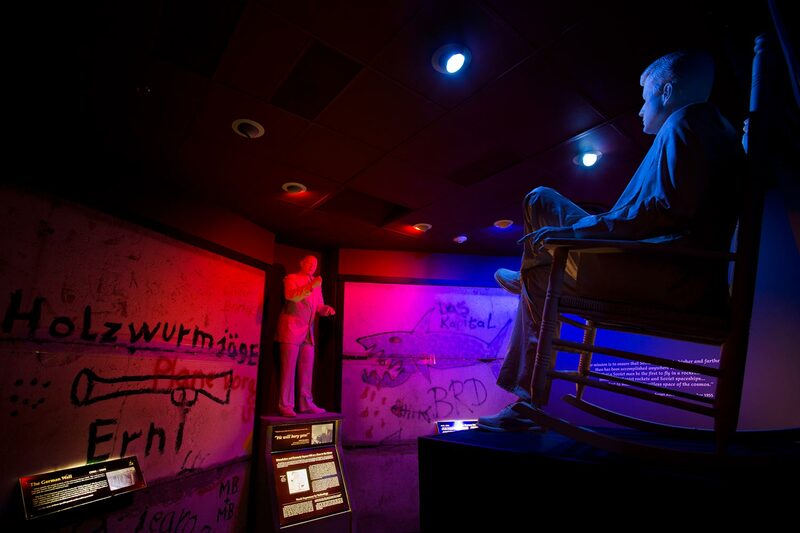 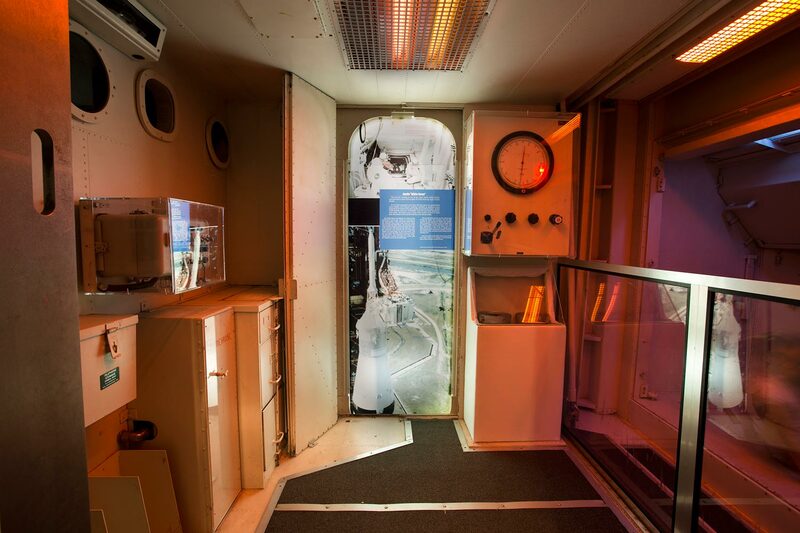 Visitors come face-to-face with American heroes and Soviet secrets. 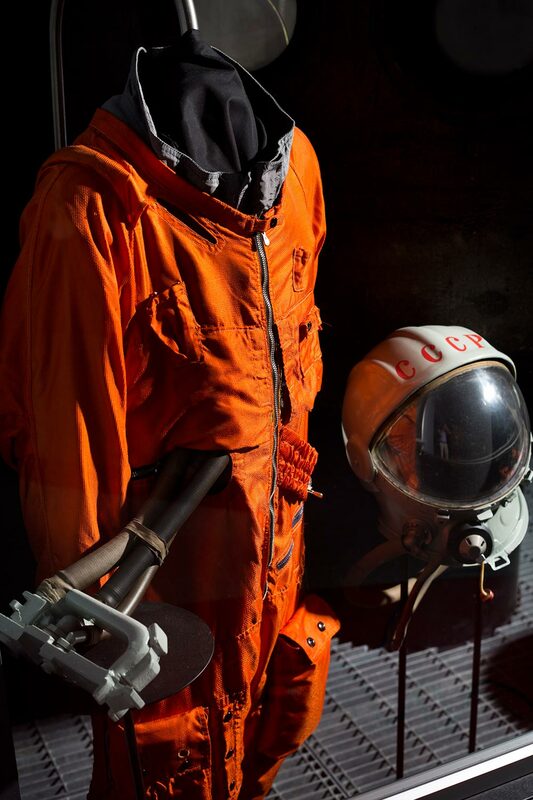 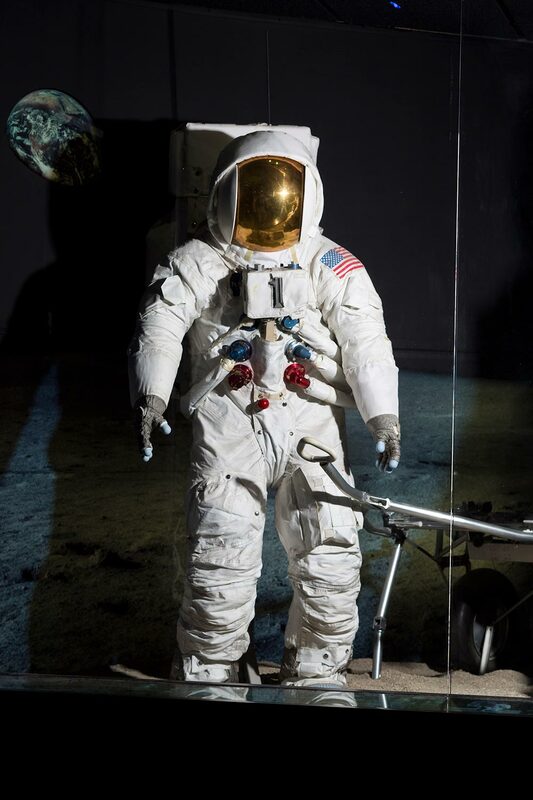 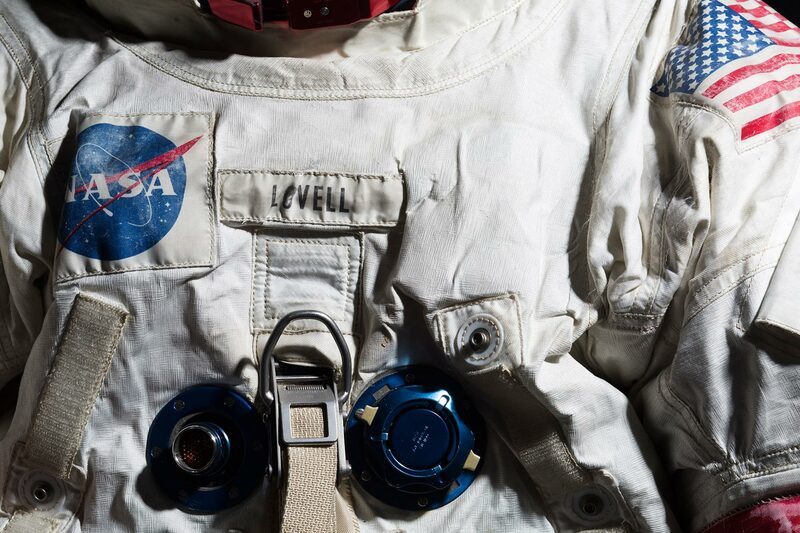 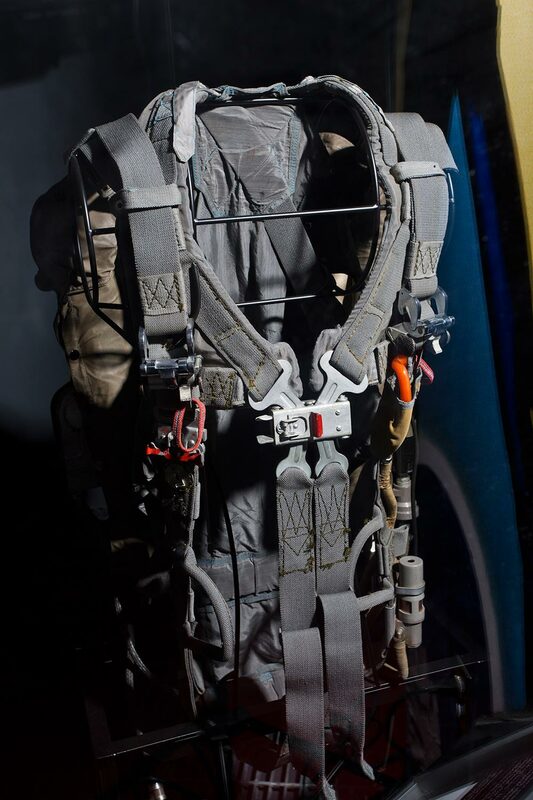 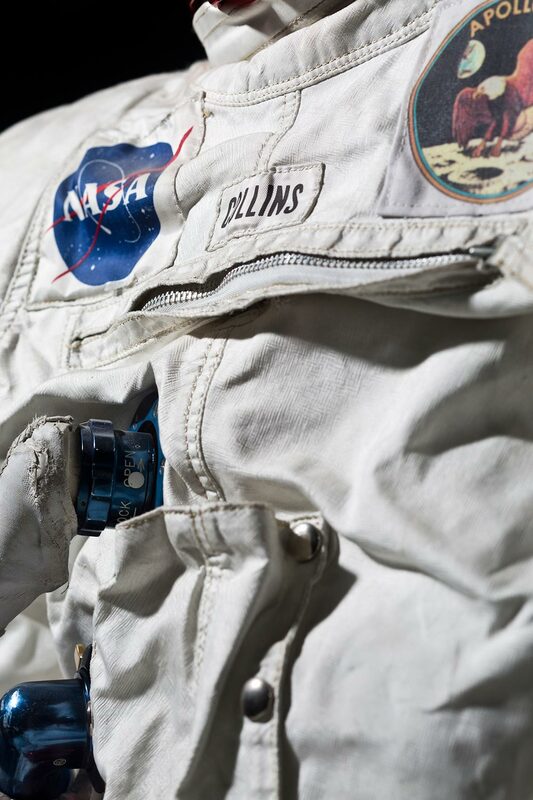 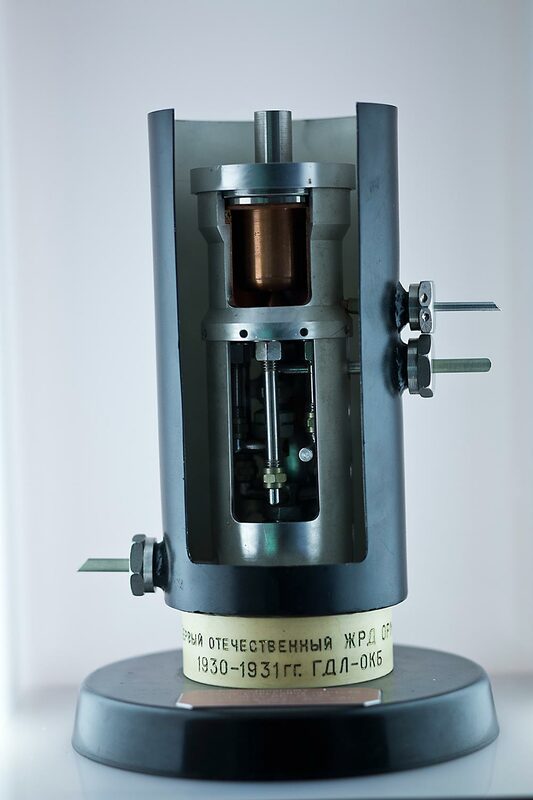 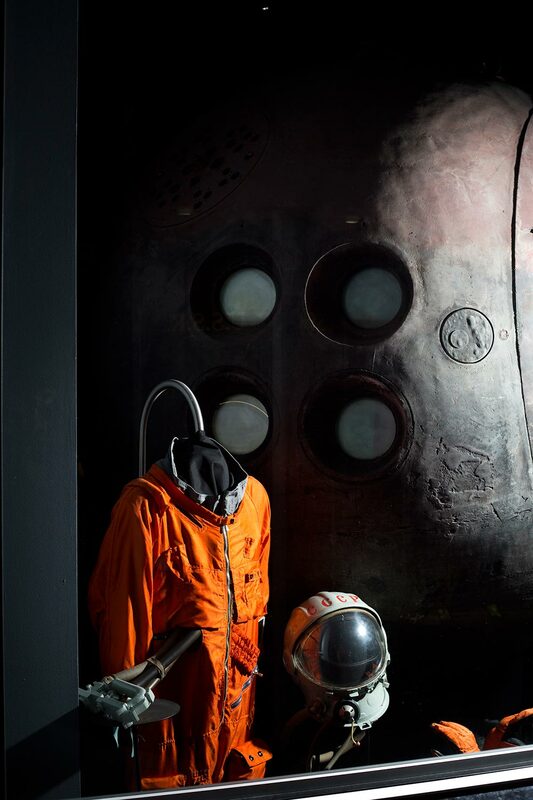 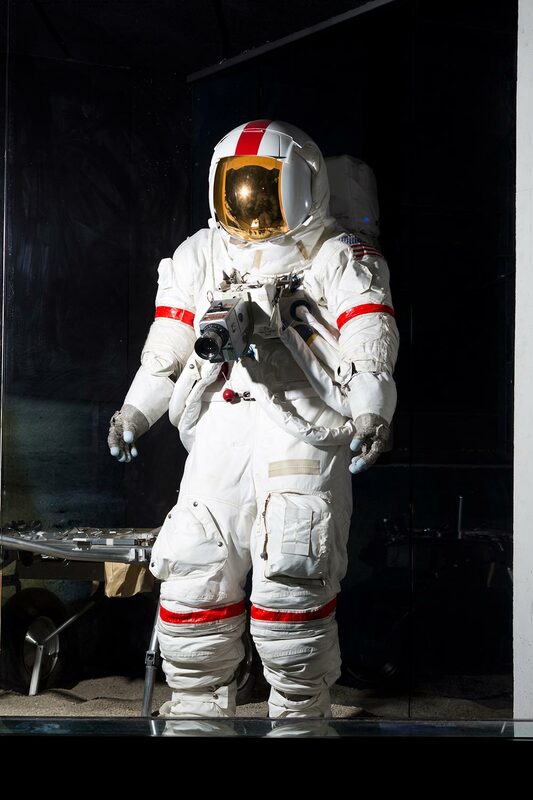 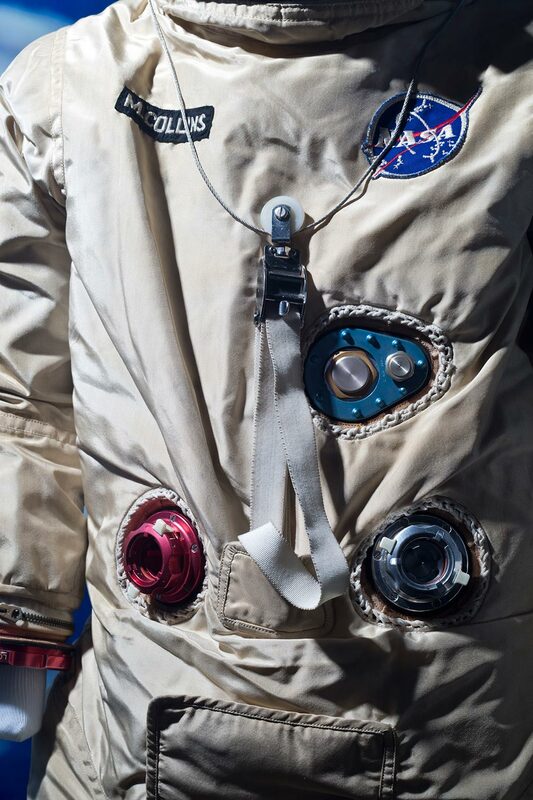 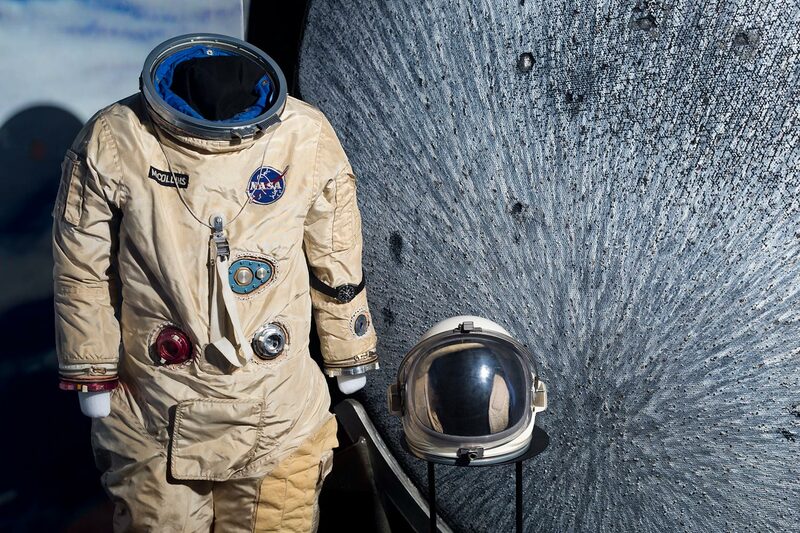 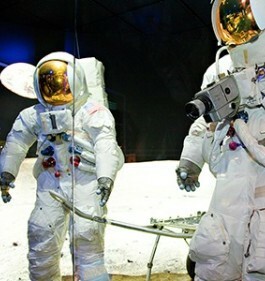 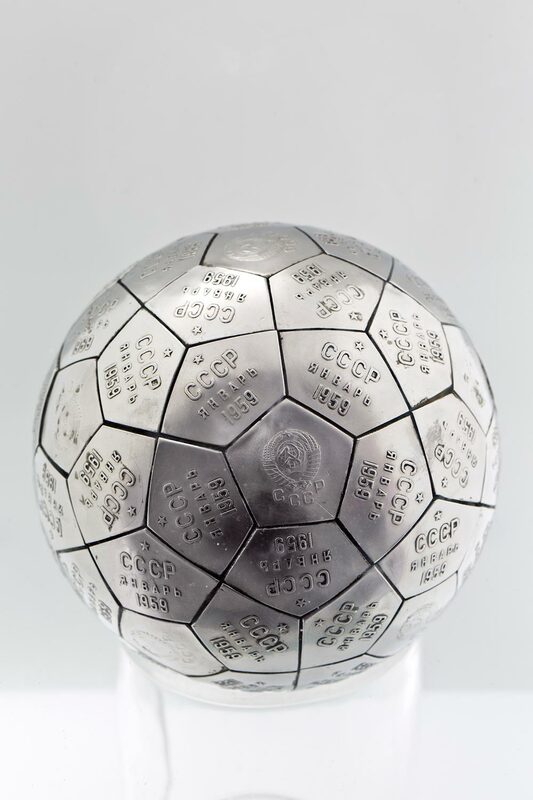 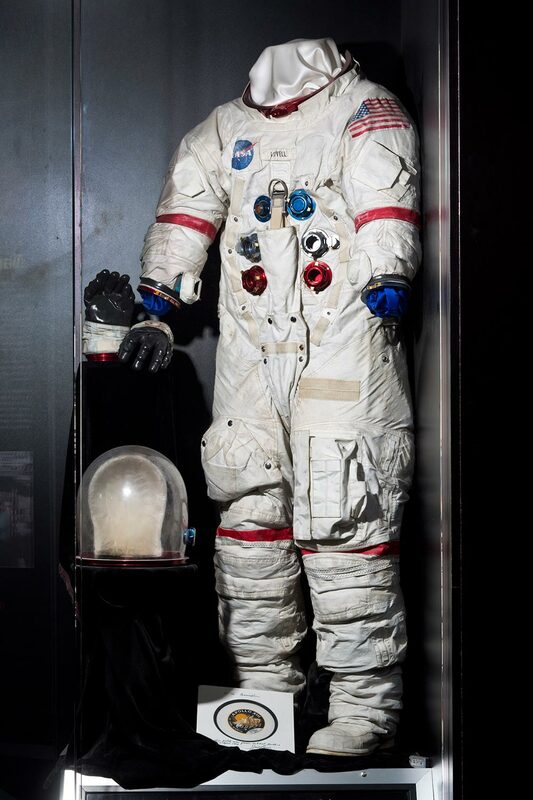 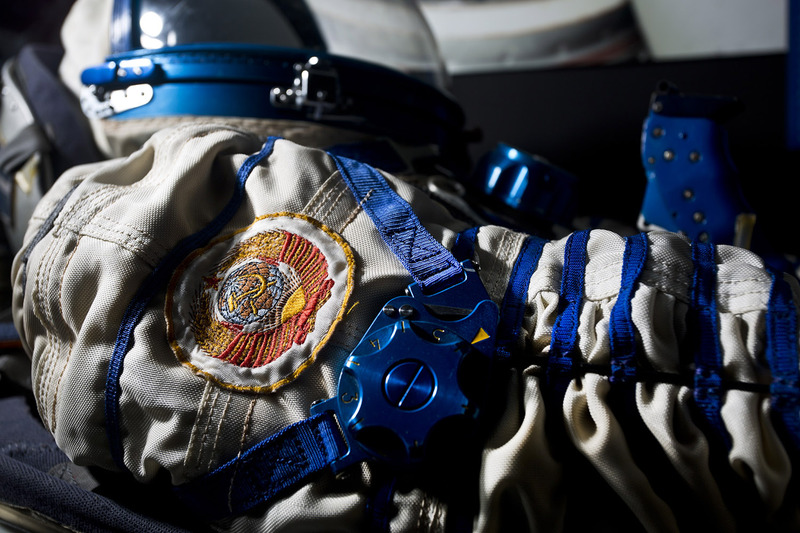 Actual spacecraft, hardware, spacesuits and training gear from the American and Russian programs capture the ingenuity, accomplishment, and tension of the times as two Cold War enemies competed in the race for the Moon. 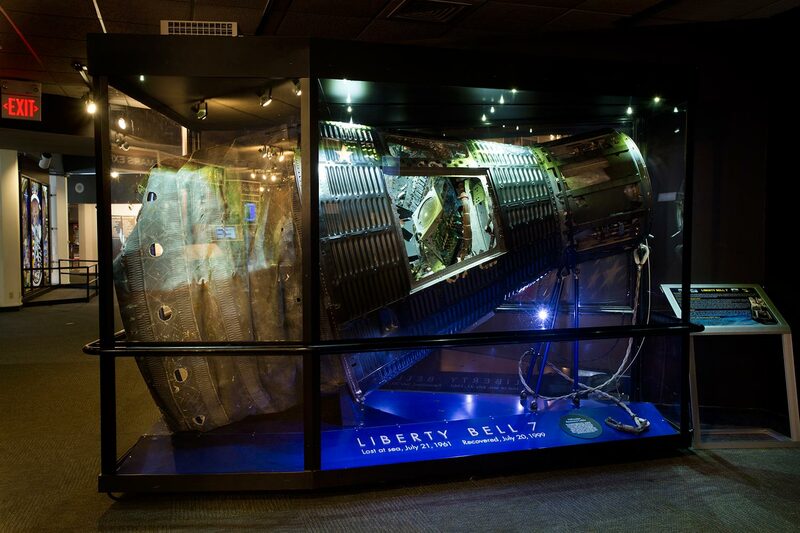 Flown Liberty Bell 7 Mercury spacecraft. 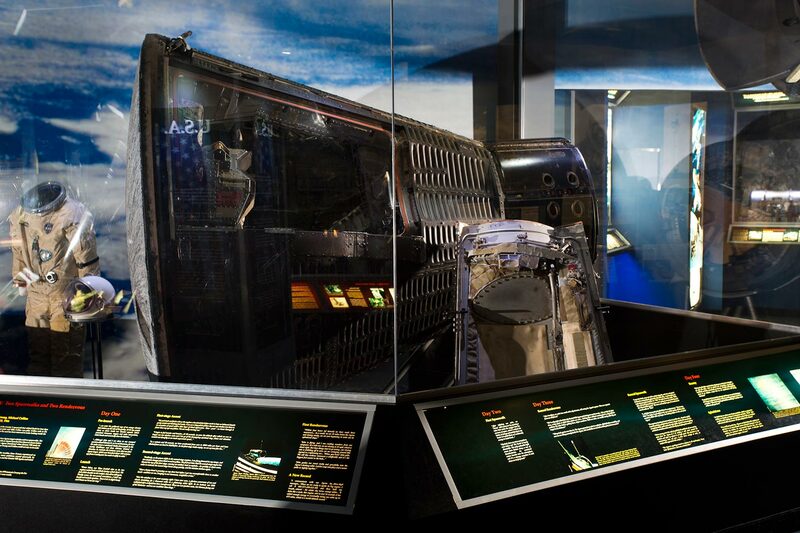 Currently not on display. 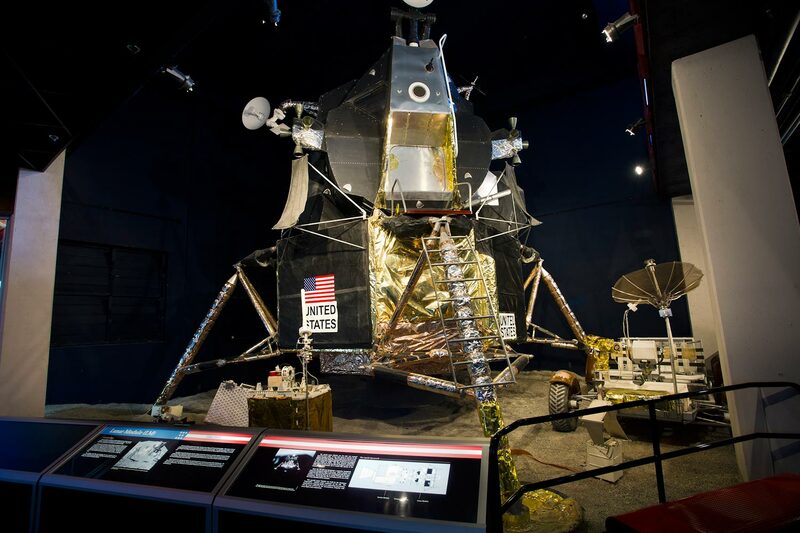 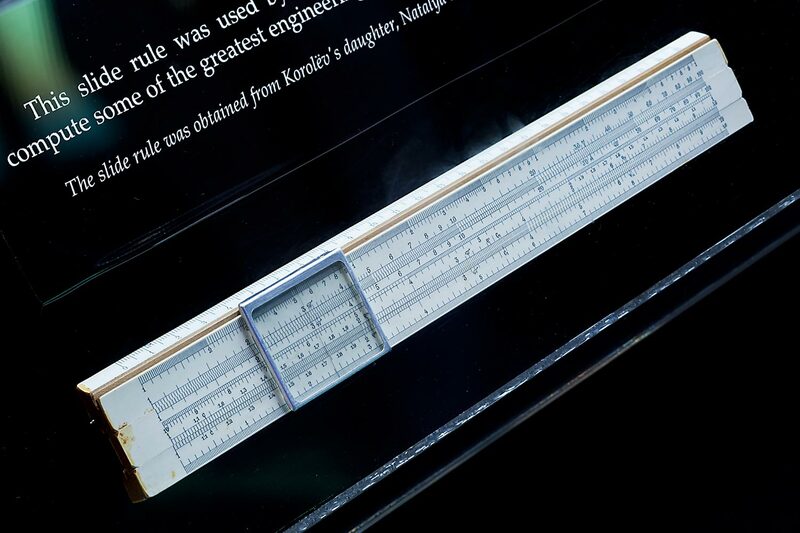 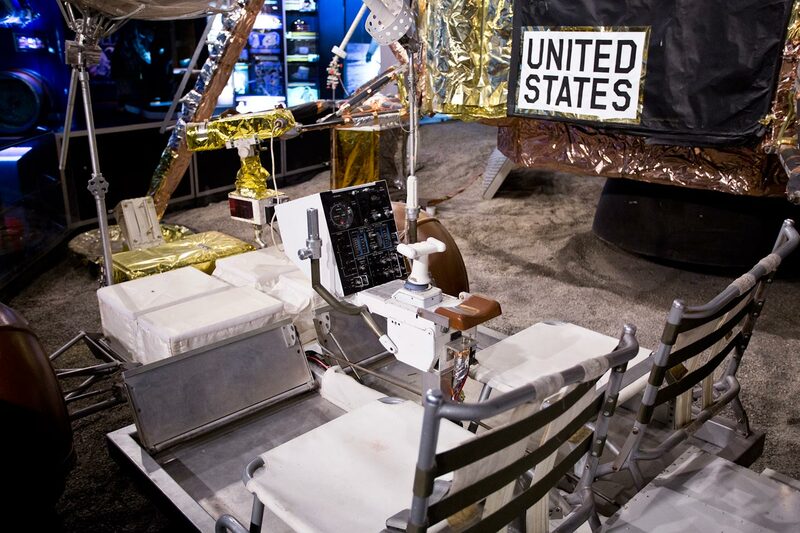 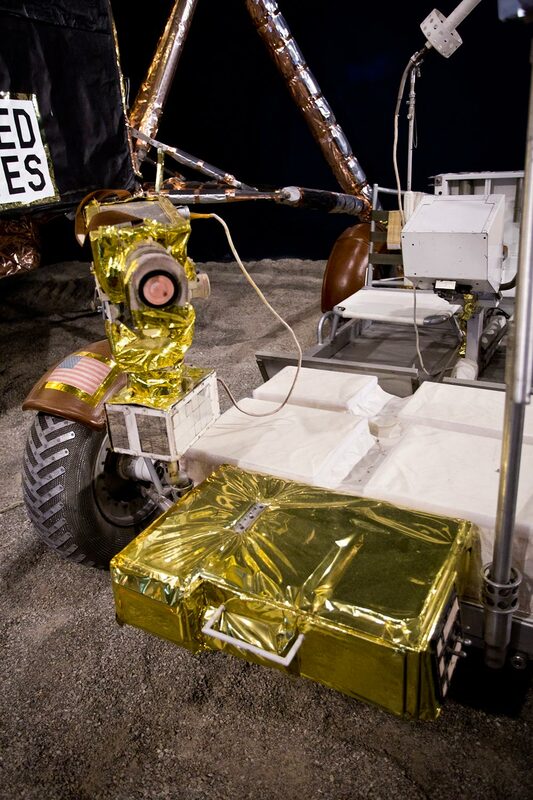 From Neil Armstrong’s first steps on the Moon, to Gene Cernan’s last steps on the lunar surface, this gallery embodies the world’s most amazing technological achievement: America’s presence on the Moon. 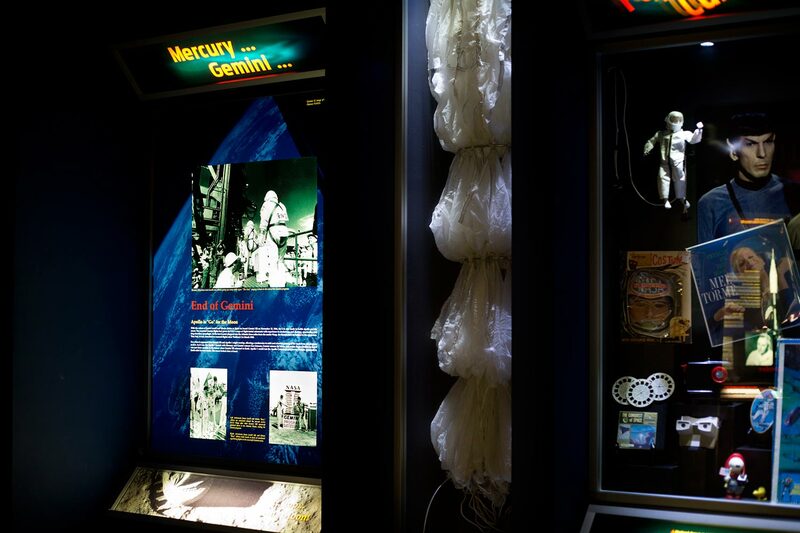 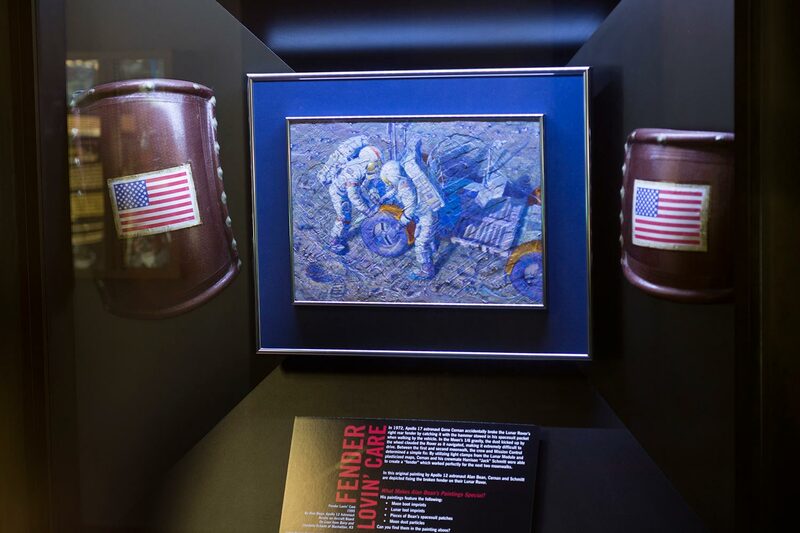 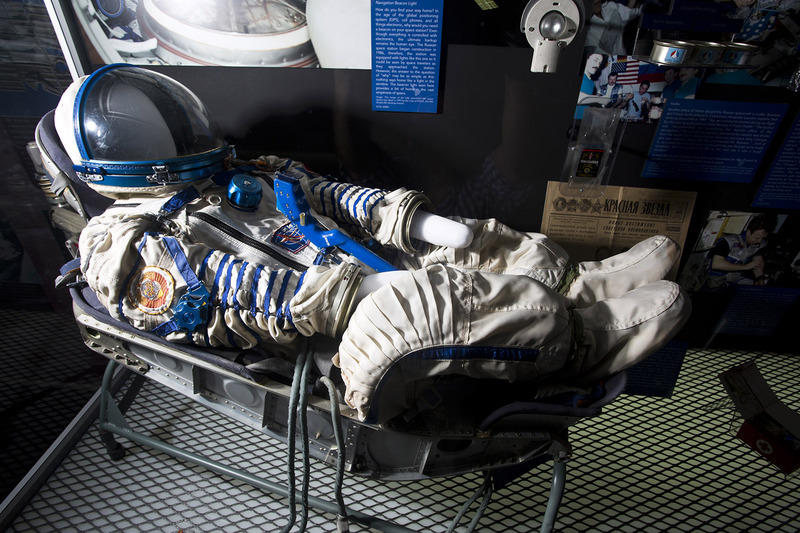 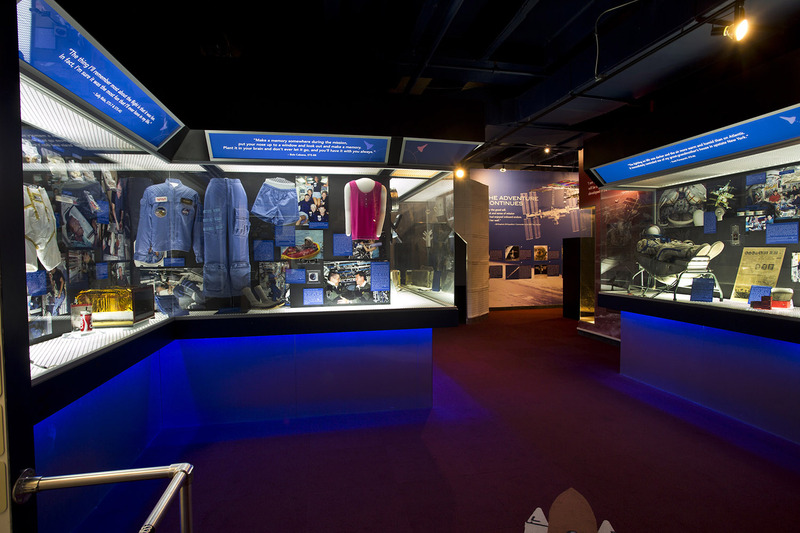 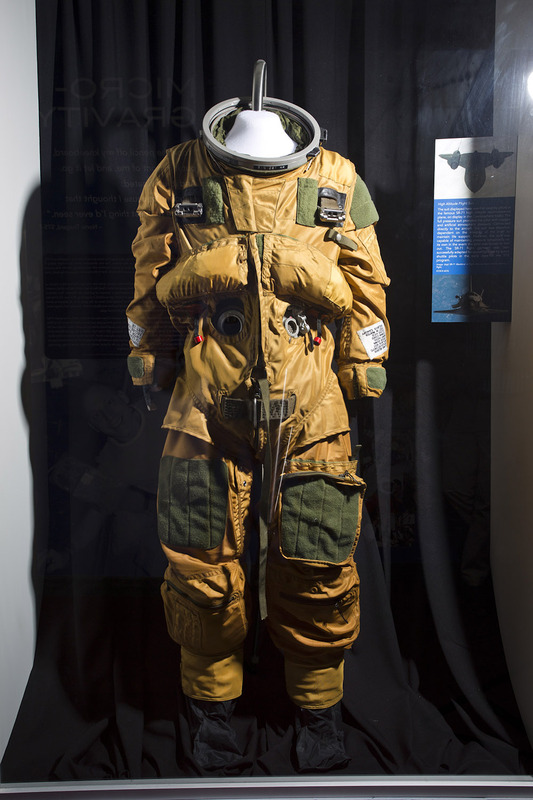 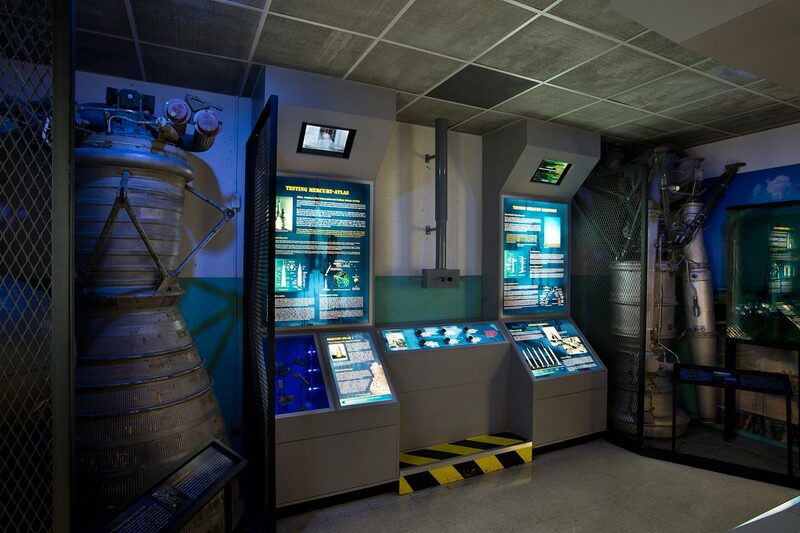 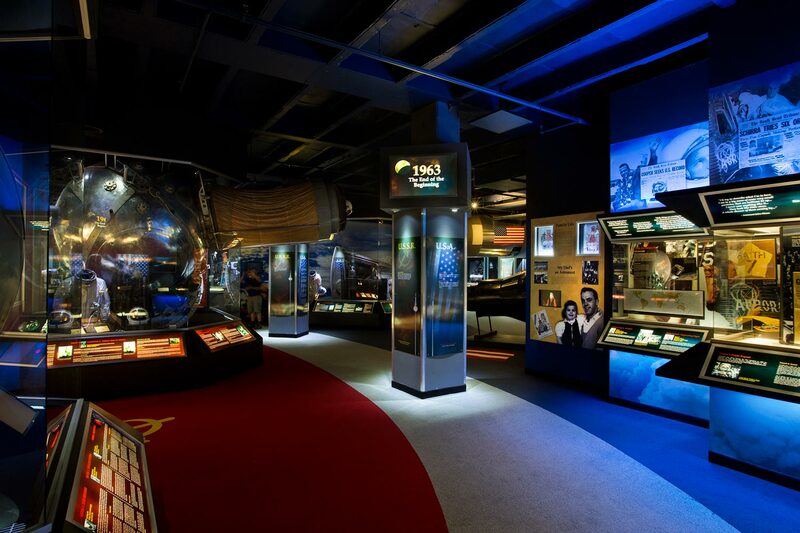 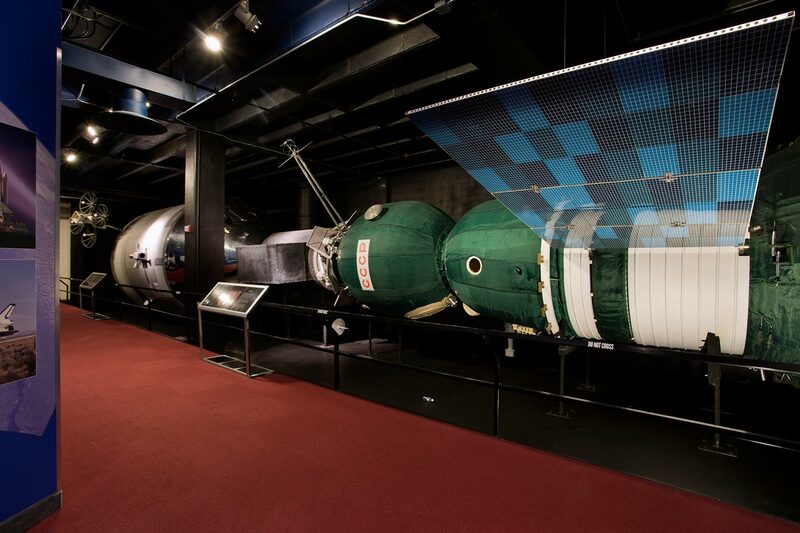 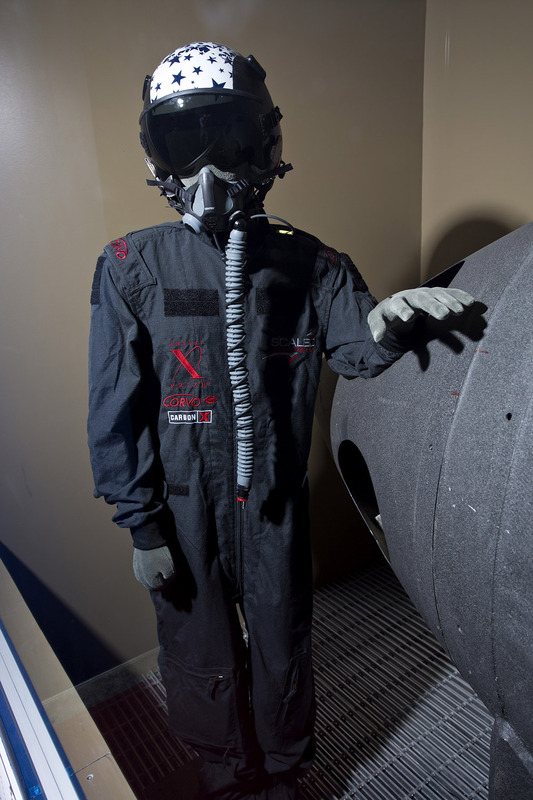 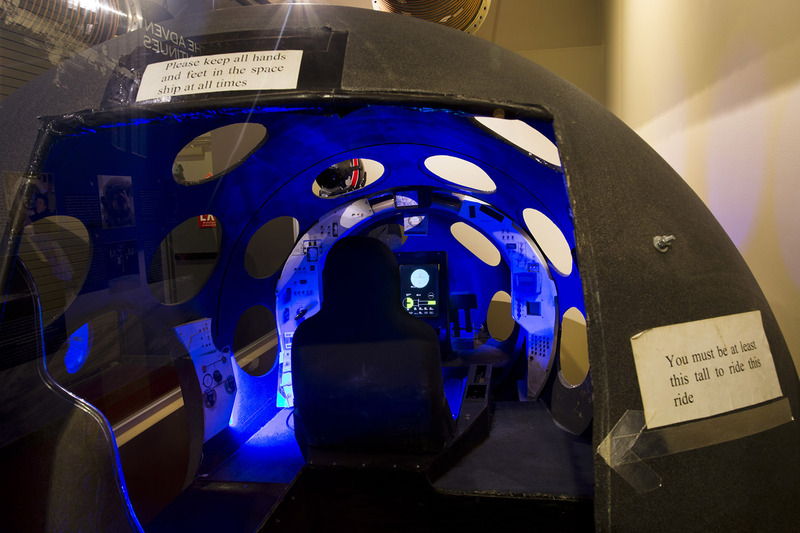 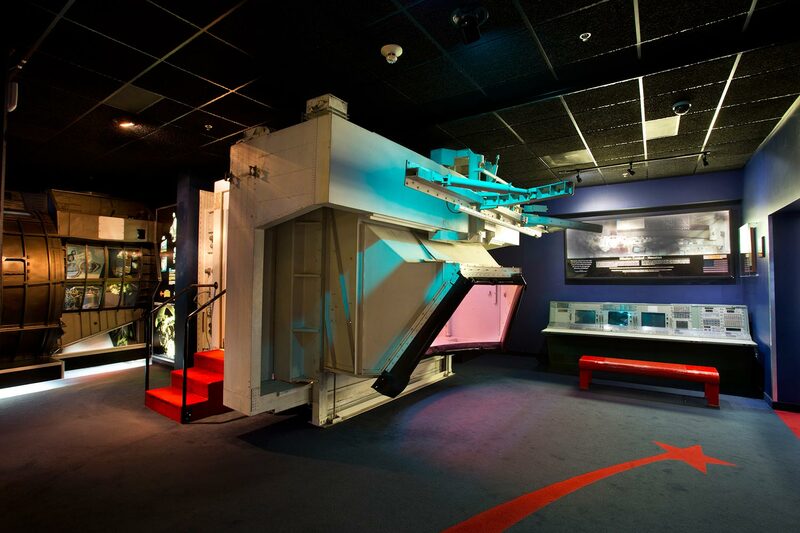 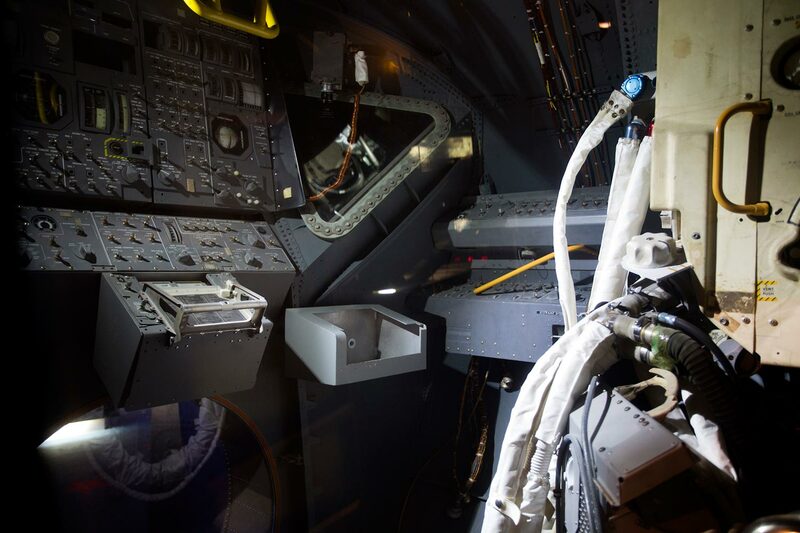 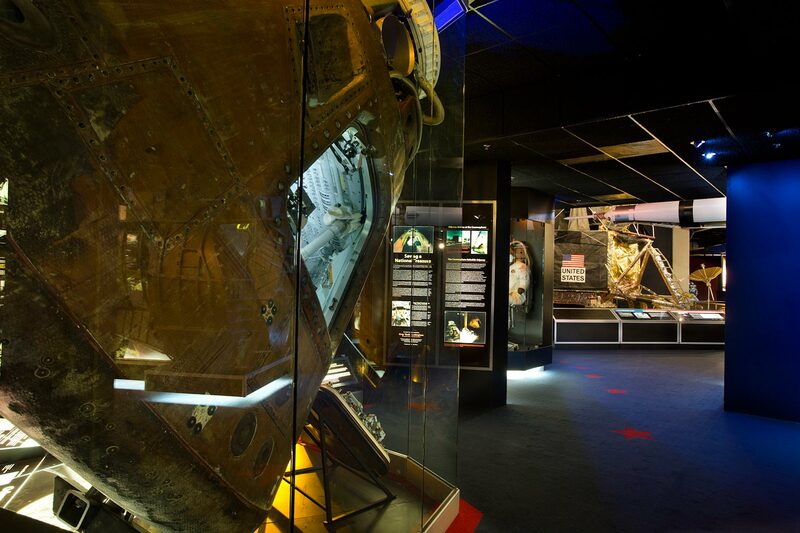 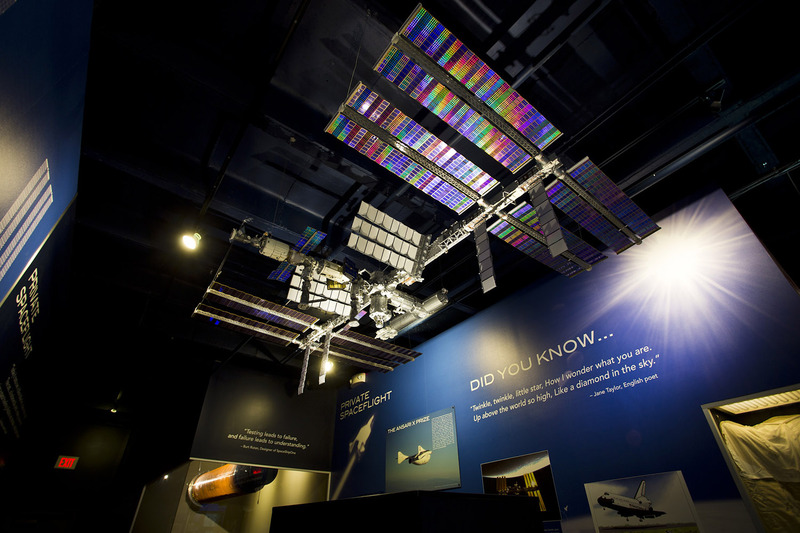 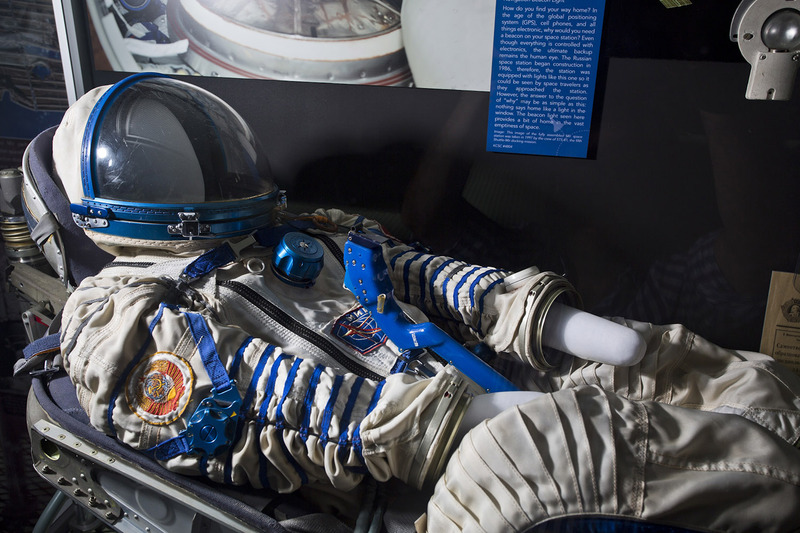 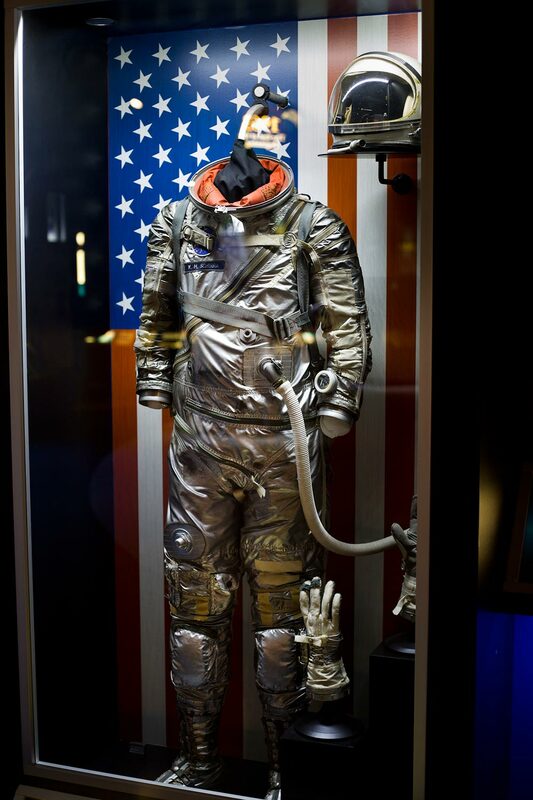 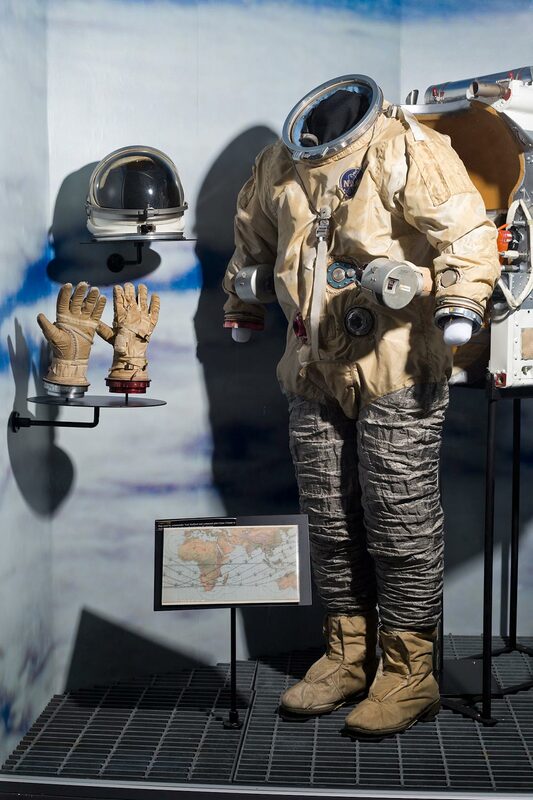 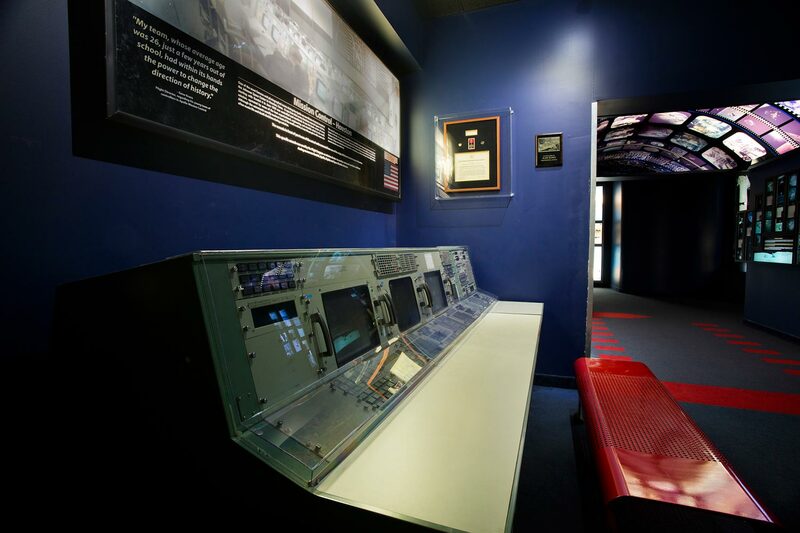 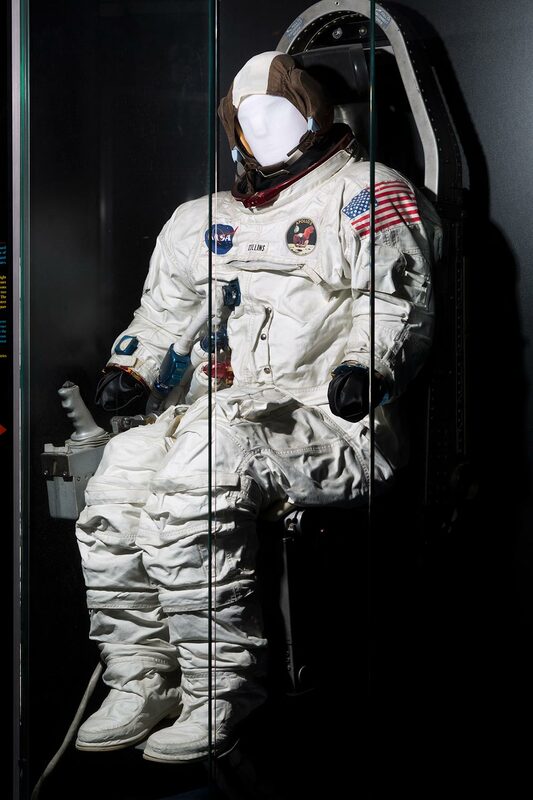 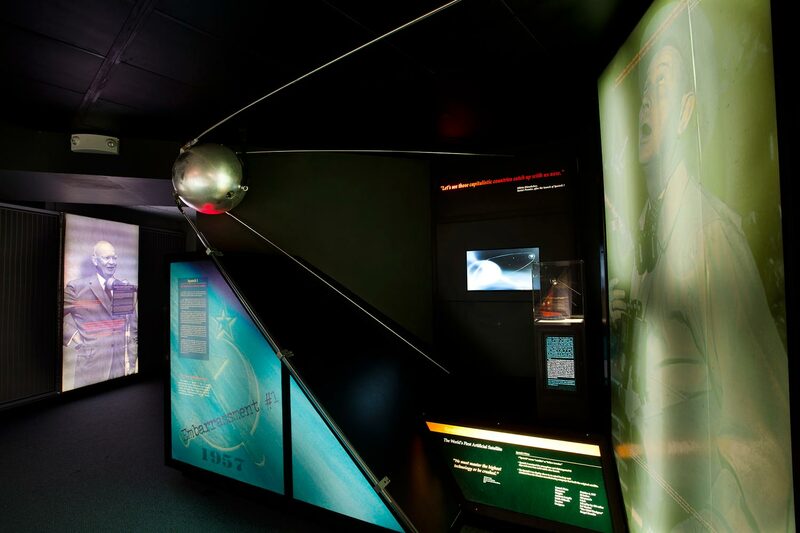 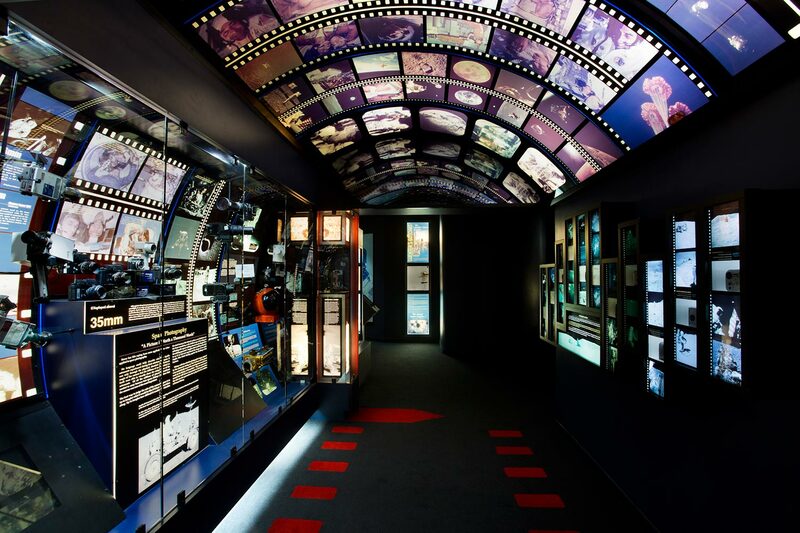 Rounding out our Hall of Space Museum, this gallery showcases approximately 100 artifacts from the shuttle program, Russian MIR Space Station, International Space Station and private space companies.